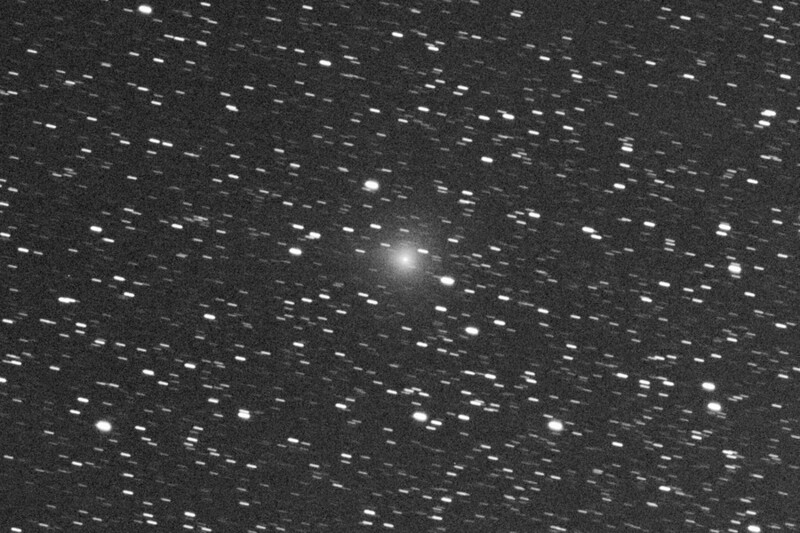 19.47 UT, Newton 200/570 ATIK 383L 2 x 300 sec. 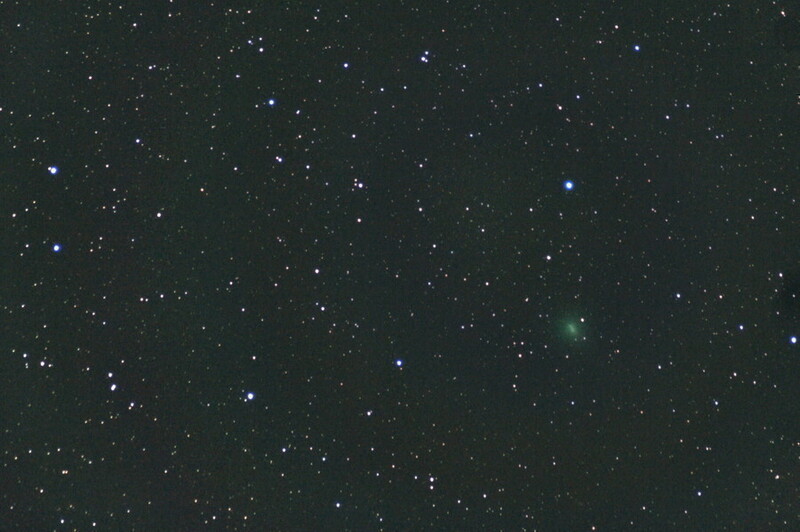 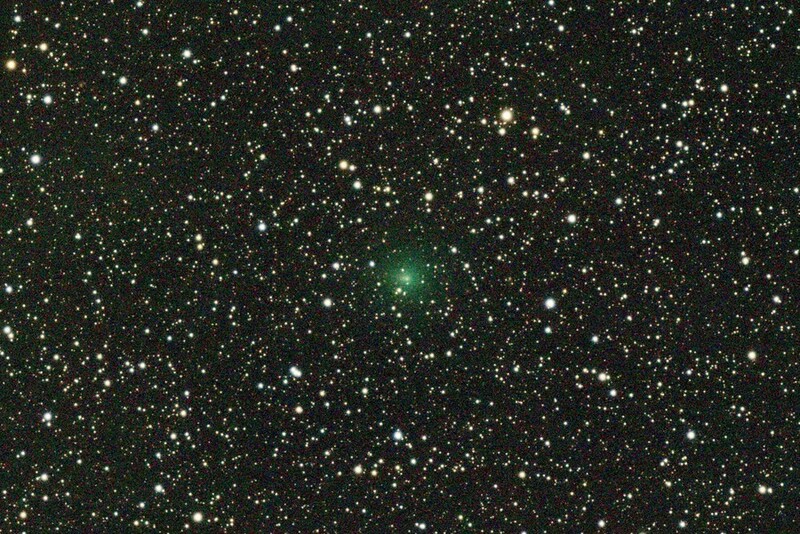 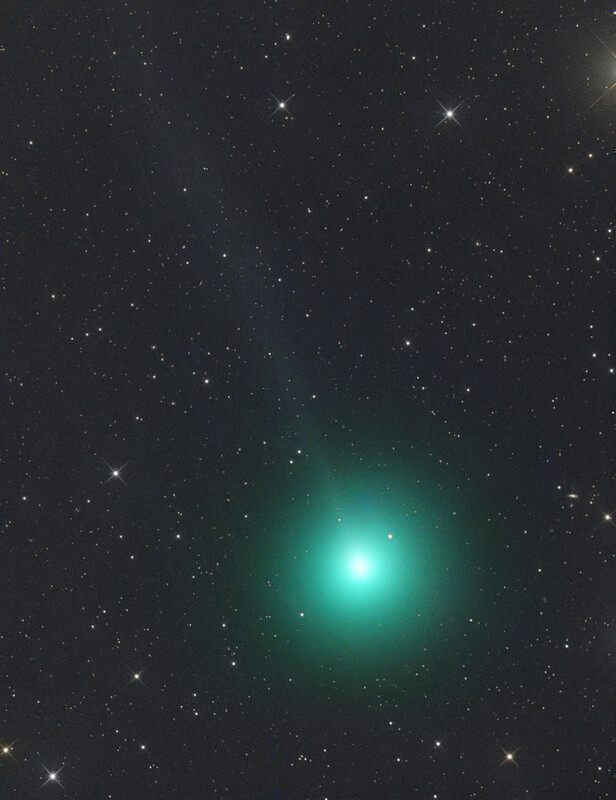 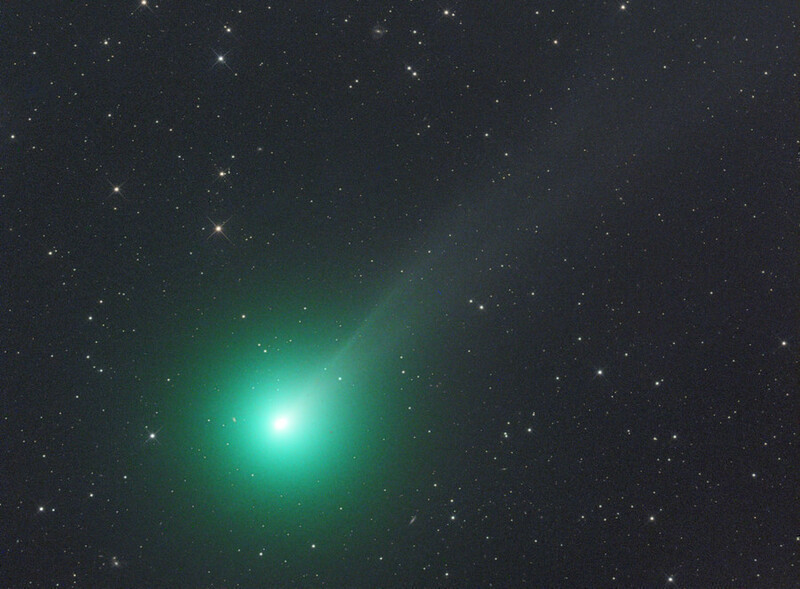 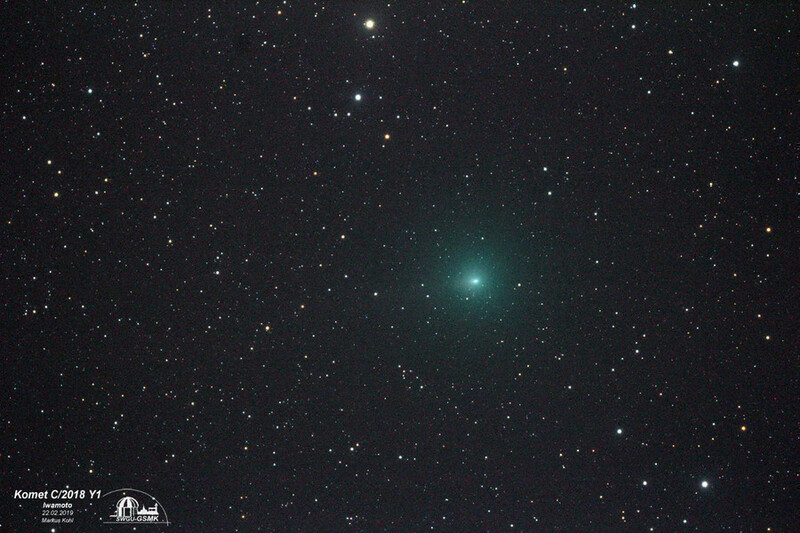 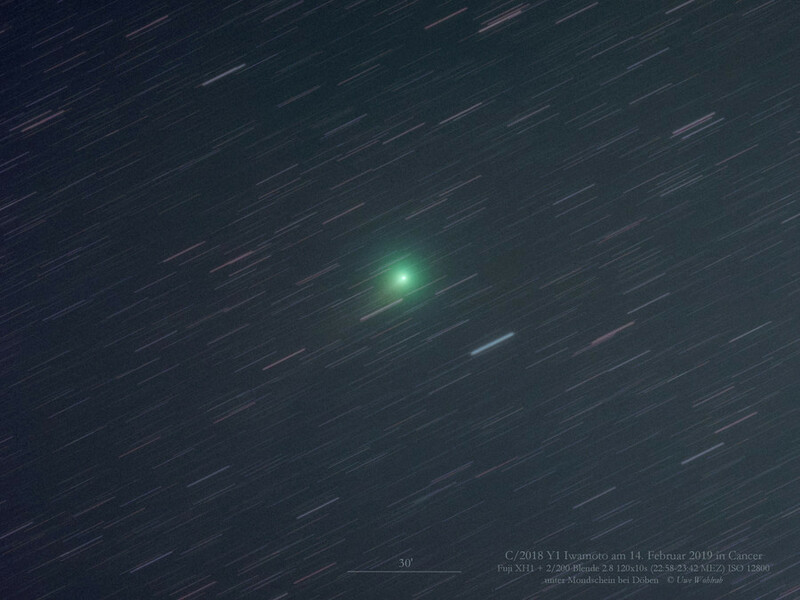 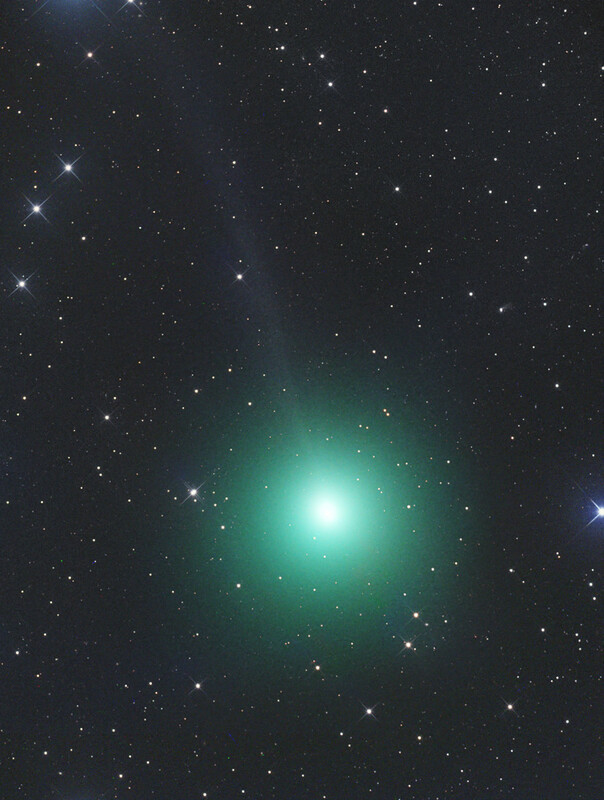 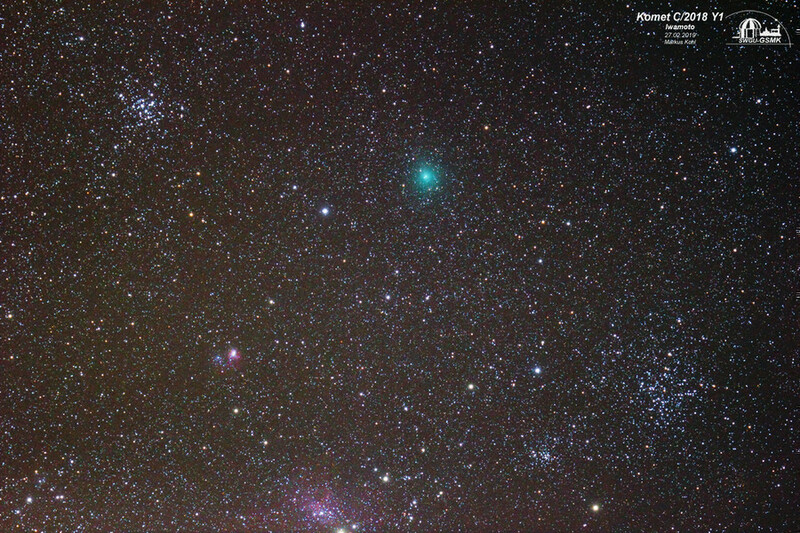 20h02m UT, Telescope: ASA 10" f 3.6 Camera: FLI ML 8300 Mount: ASA DDM85 Exposure time: LRGB 24/10/10/10 min. 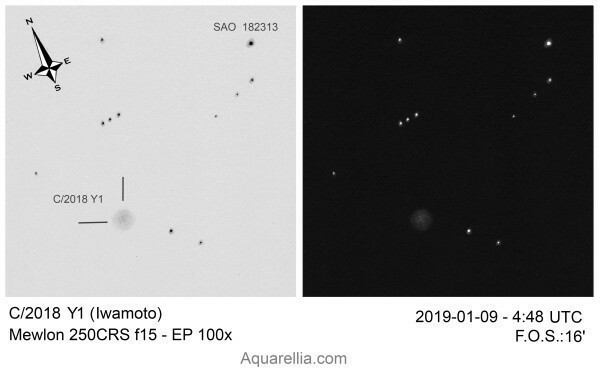 06:12 UT, Takahashi FSQ-106ED f/5.0, SBIG STL-11000M, 21 min. 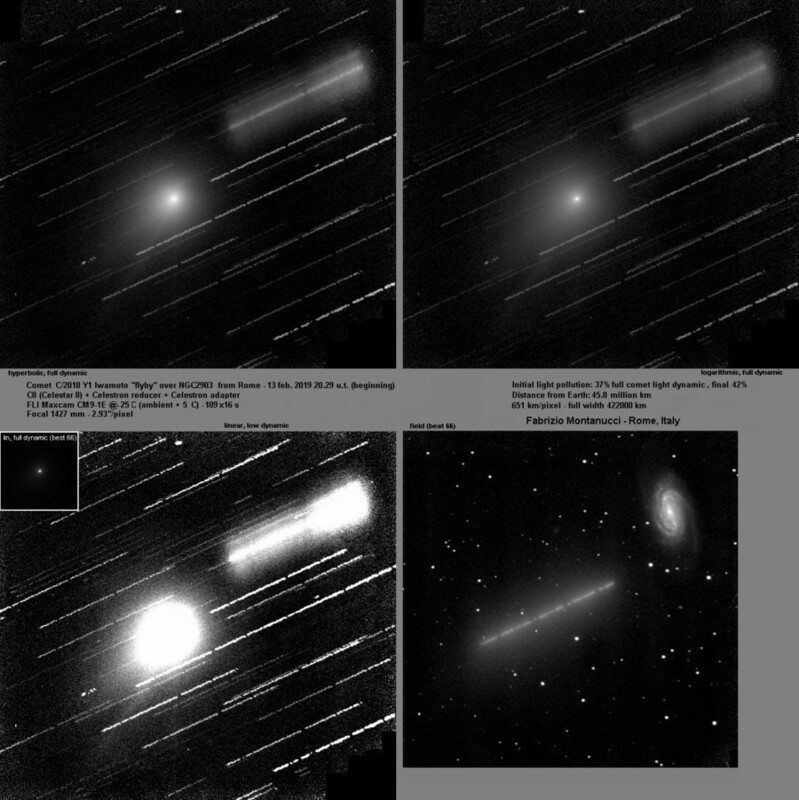 total exposure. 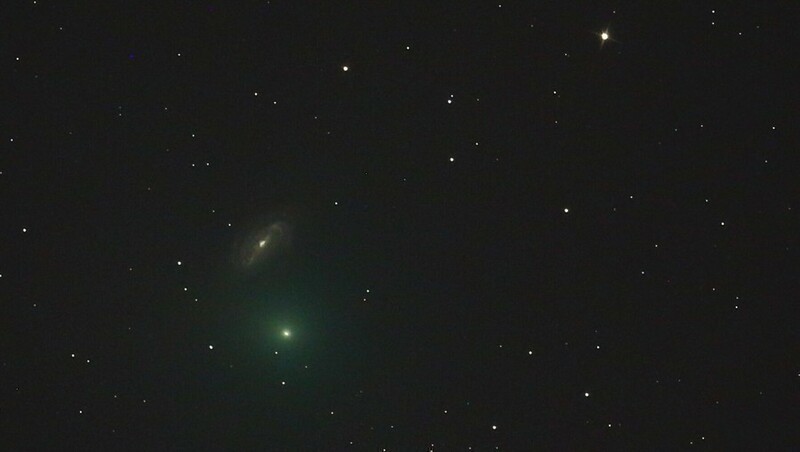 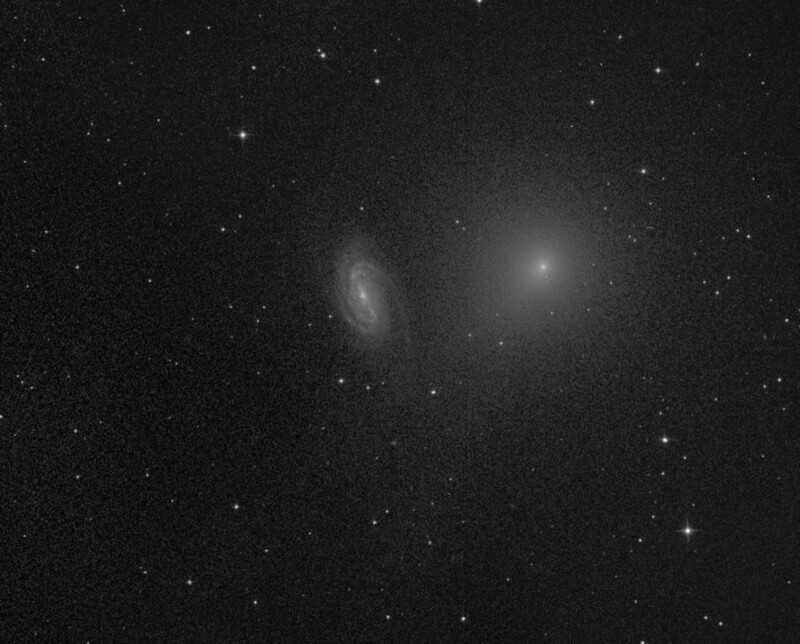 22:07 UT, GSO 8" N f/3.8, Atik 383L+, 167 min. 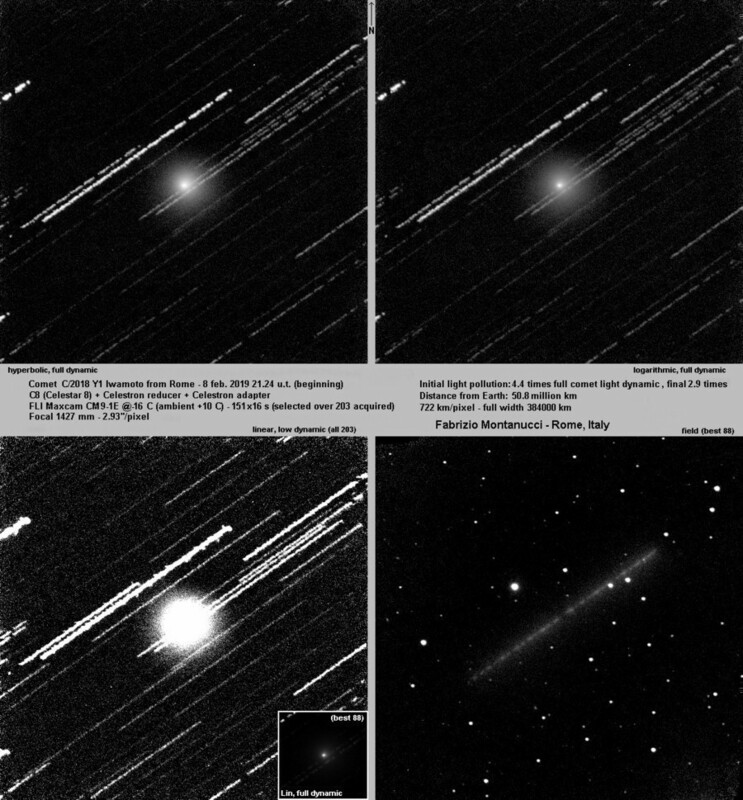 total exposure. 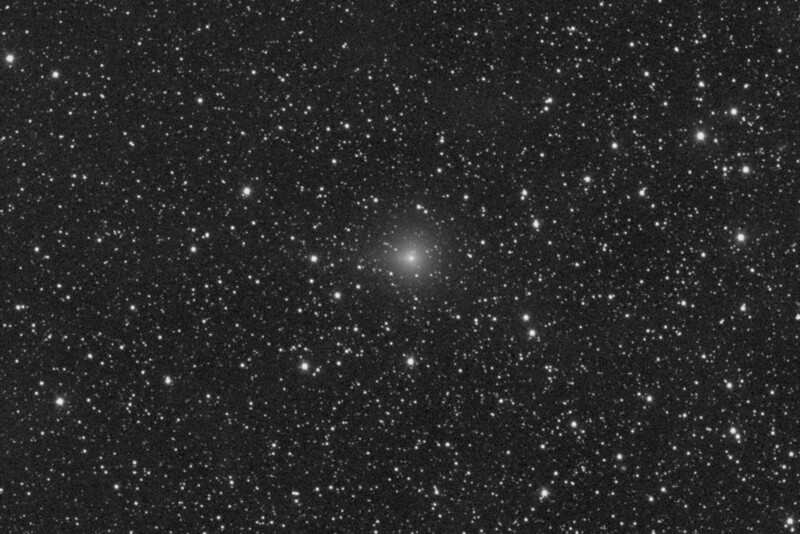 20.30 UT, Newton 200/570 ATIK 383L 20 x 30 sec. 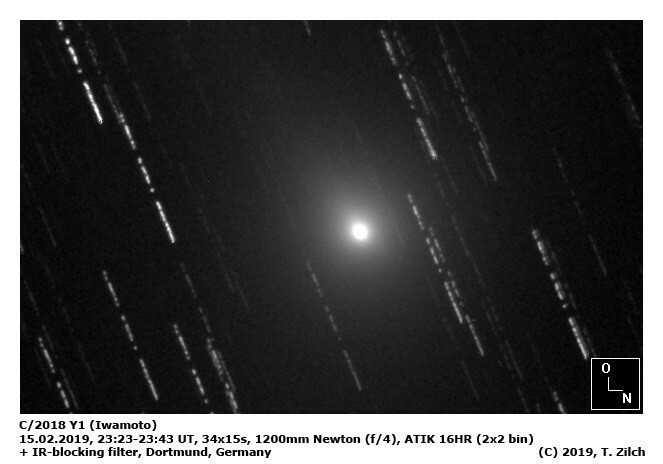 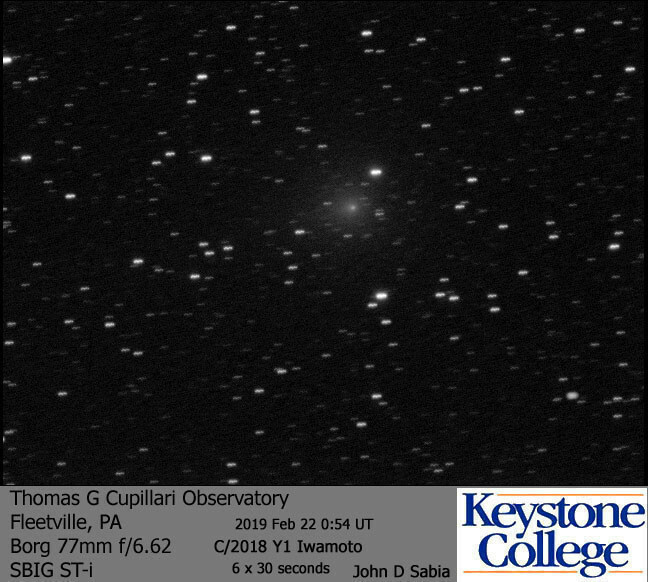 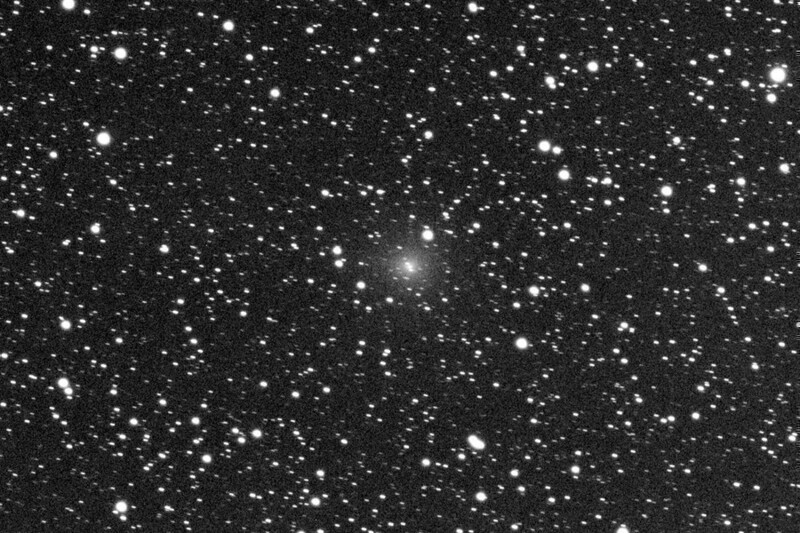 20.52 UT, Newton 200/570 ATIK 383L 10 x 60 sec. 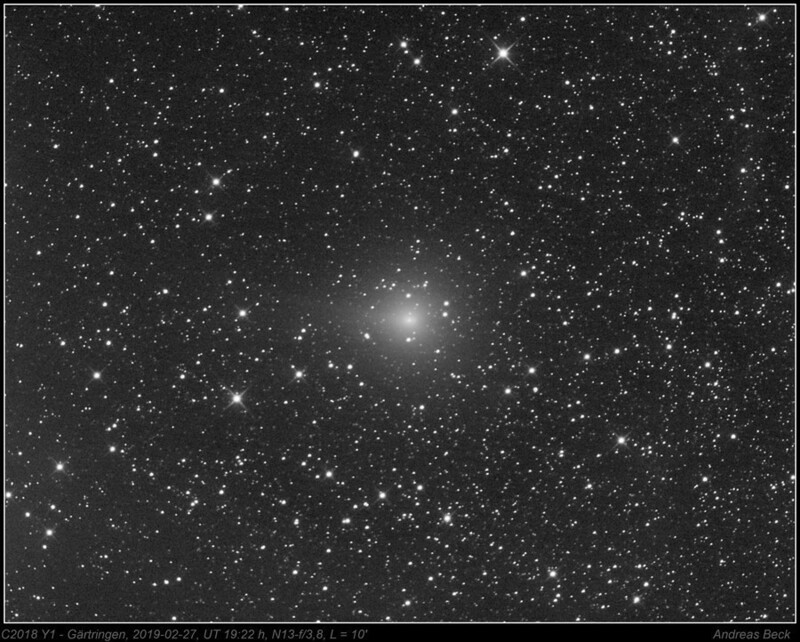 20.36 UT, Newton 200/570 ATIK 383L 1 x 180 sec. 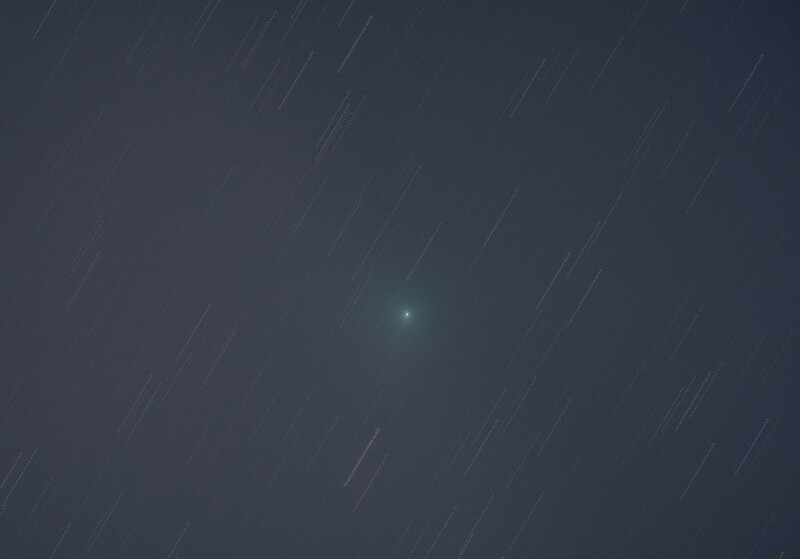 21.06 UT, 50mm lens Canon 600D 5 x 28 sec. 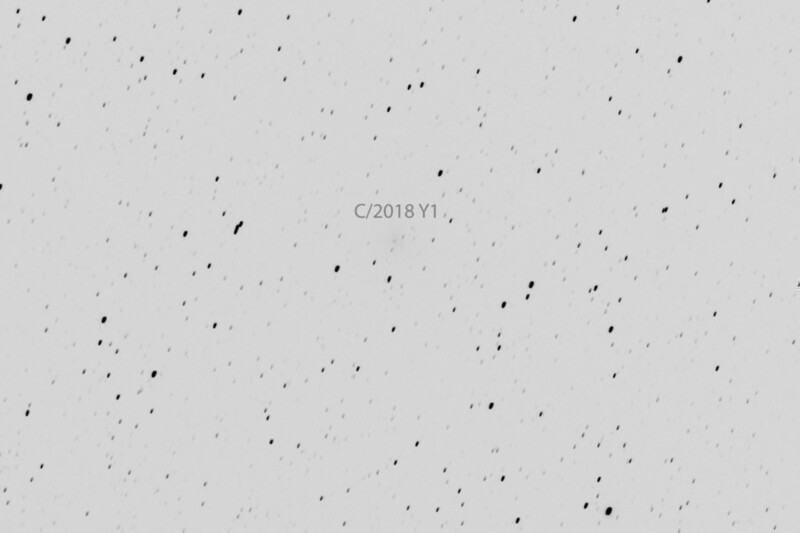 18h49m UT, ASA 12" f 3.6 FLI ML 16200 Exposure time: 12 min. 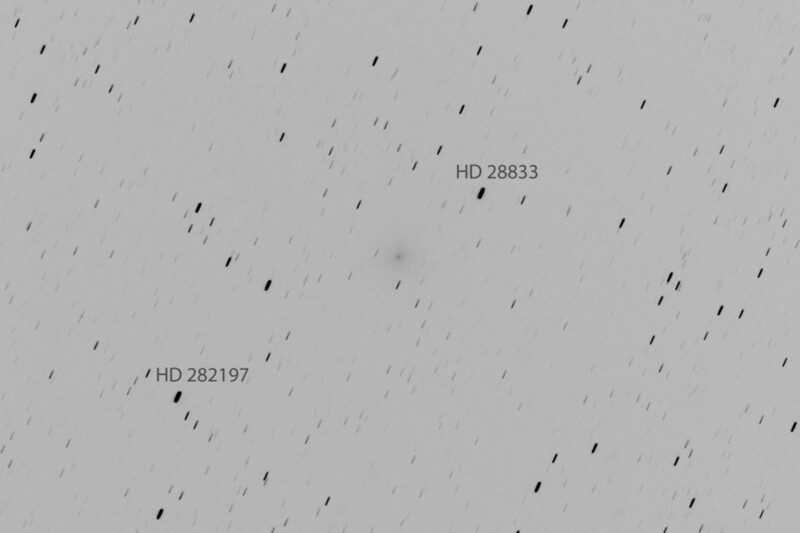 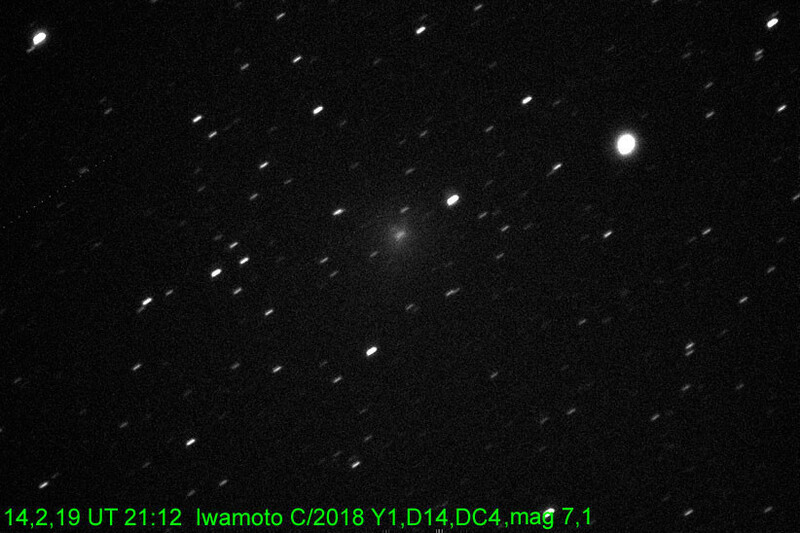 18h49m UT, Telescope: ASA 12" f 3.6 Camera: FLI ML 16200 Mount: ASA DDM85 Exposure time: LRGB 12/9/9/9 min. 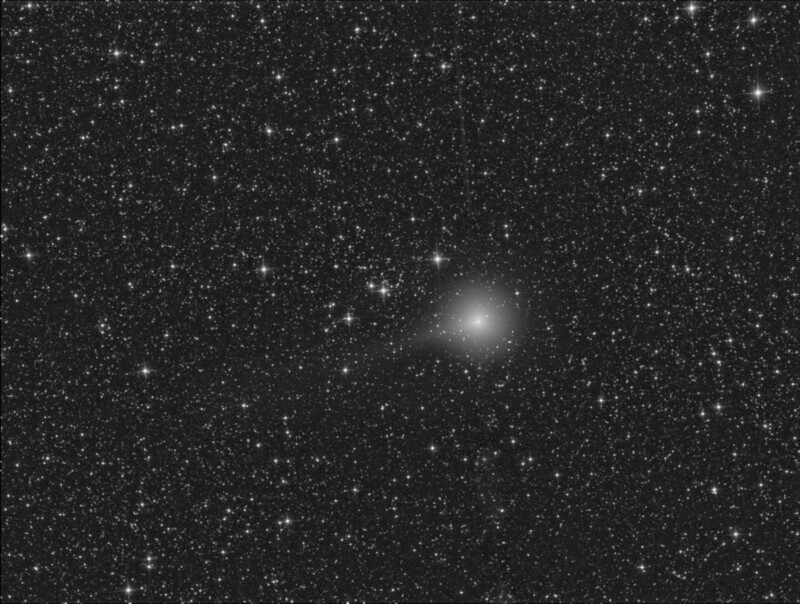 19:10 UT, 20" / 3.0 Hypergraph CCD SBIG 16803, 20 x 1 min. 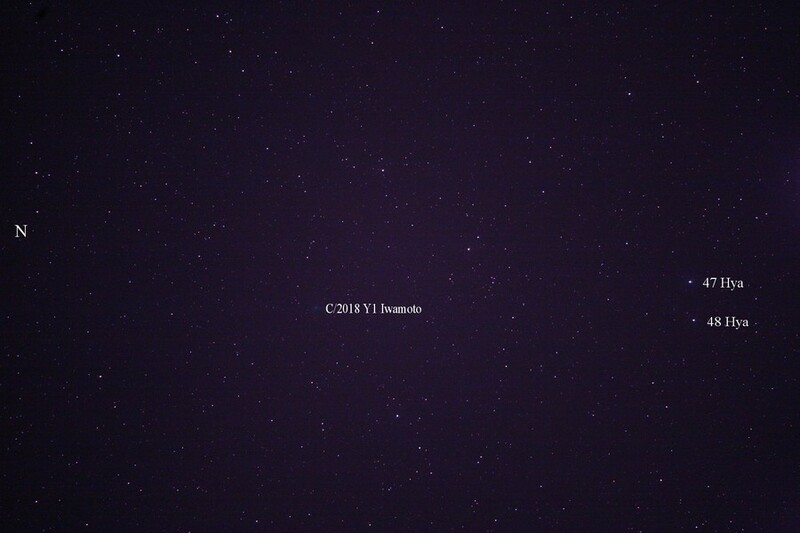 19h32m UT, ASA 10" f 3.6 FLI ML 8300 Exposure time: LRGB 24/10/10/10 min. 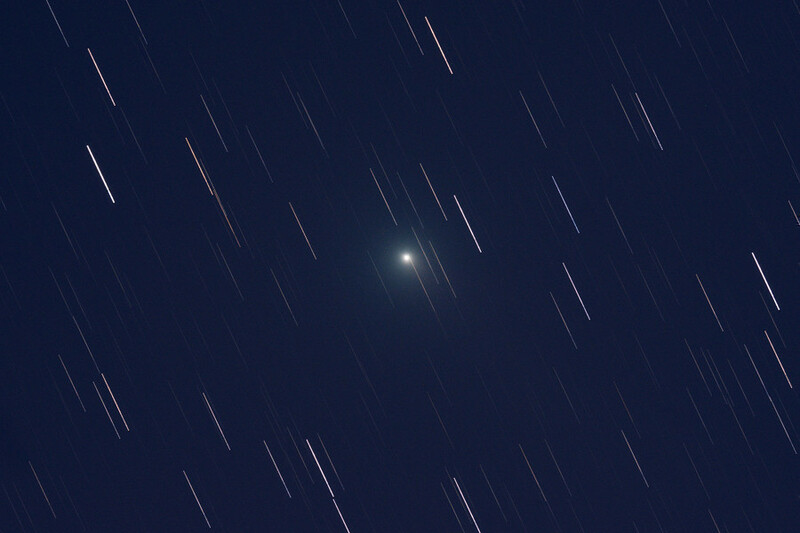 03h25m UT, Telescope: ASA 10" f 3.6 Camera: FLI ML 8300 Exposure time: LRGB 24/10/10/10 min. 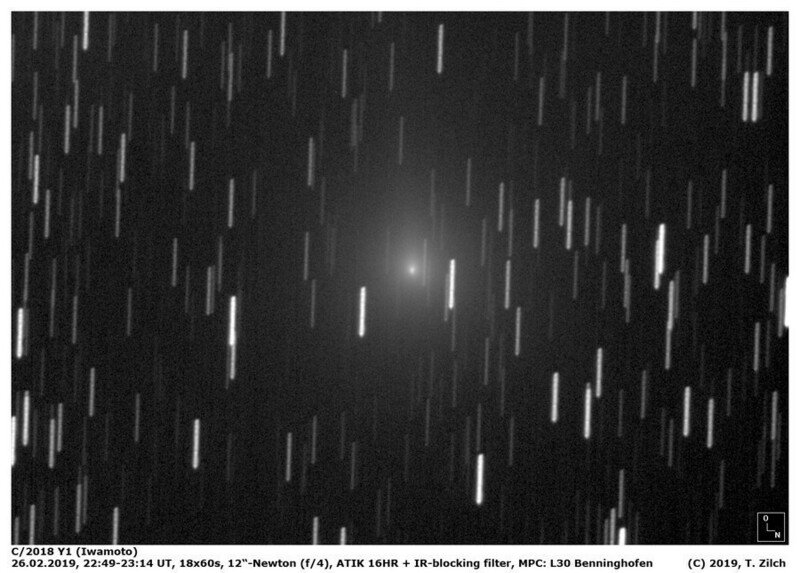 19.50 UT, Hypergraph 20" / f/3, Sternwarte Hagen, CCD SBIG 16803, 30 x 1 min. 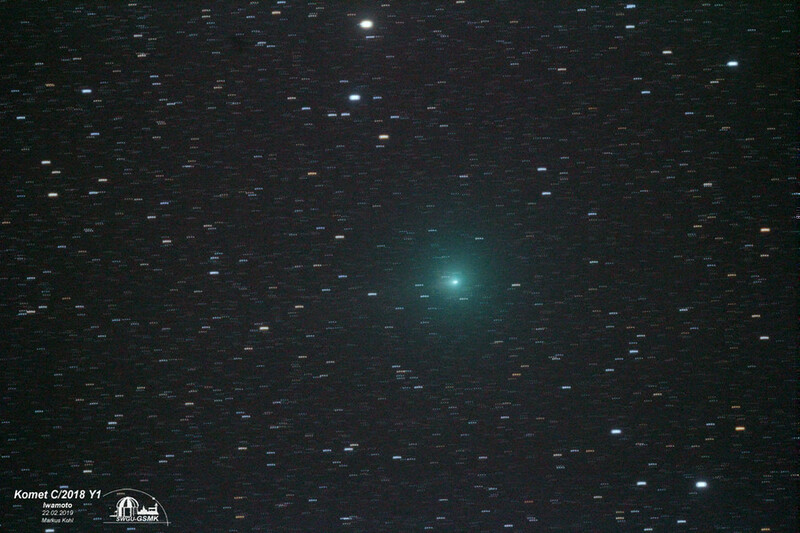 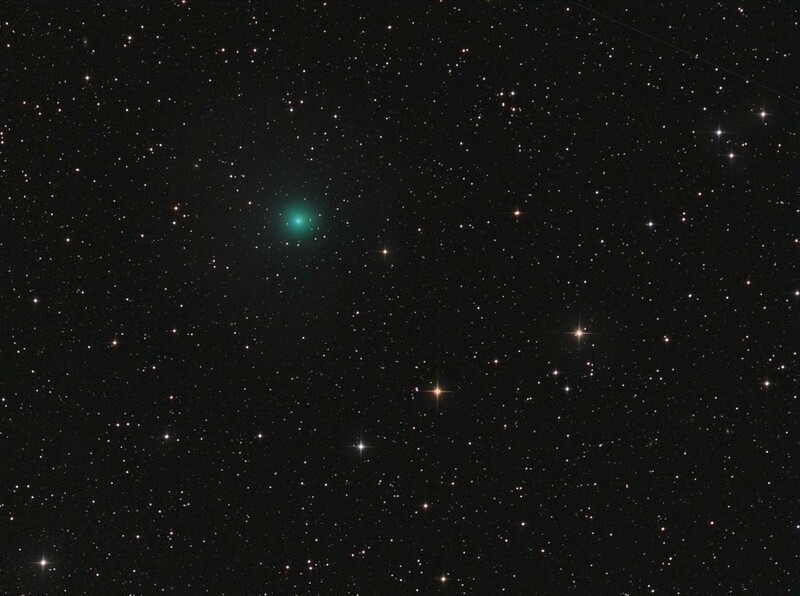 21.12 UT, 20 X 6 sec.,135 mm,Canon Eos 1200D,Kassel Deutschland. 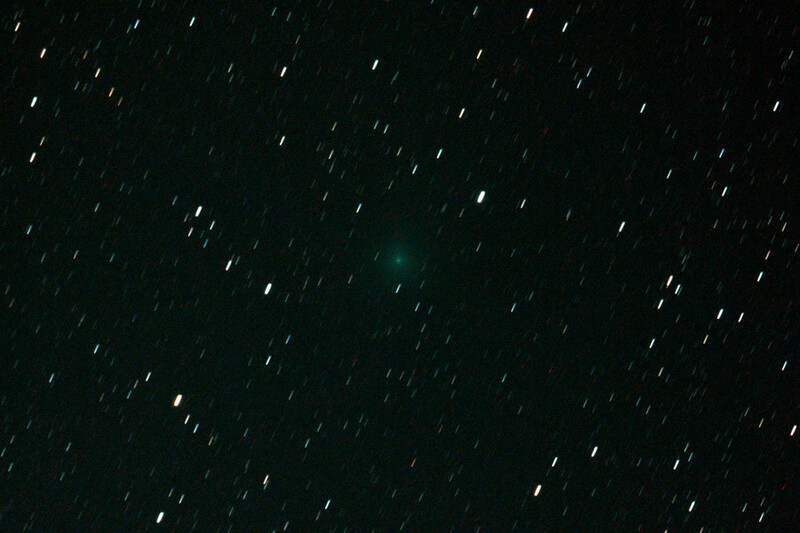 02h14m UT, Telescope: ASA 10" f 3.6 Camera: FLI ML 8300 Exposure time: LRGB 24/10/10/10 min. 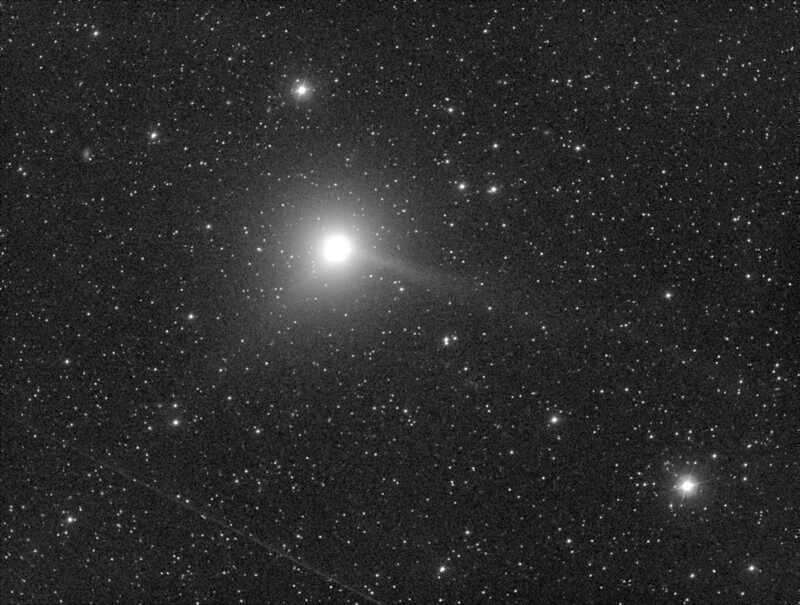 21.30 UT, Hypergraph 20" / f/3, Sternwarte Hagen, CCD SBIG 16803, 20 x 1 min. 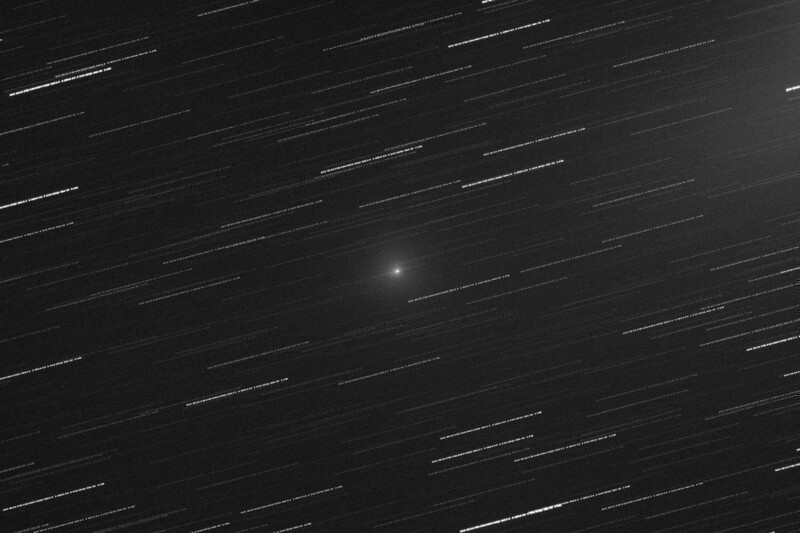 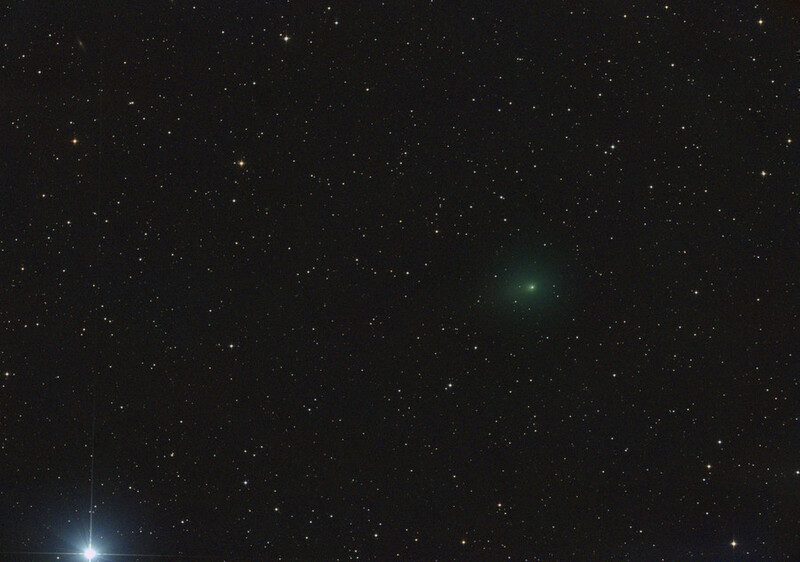 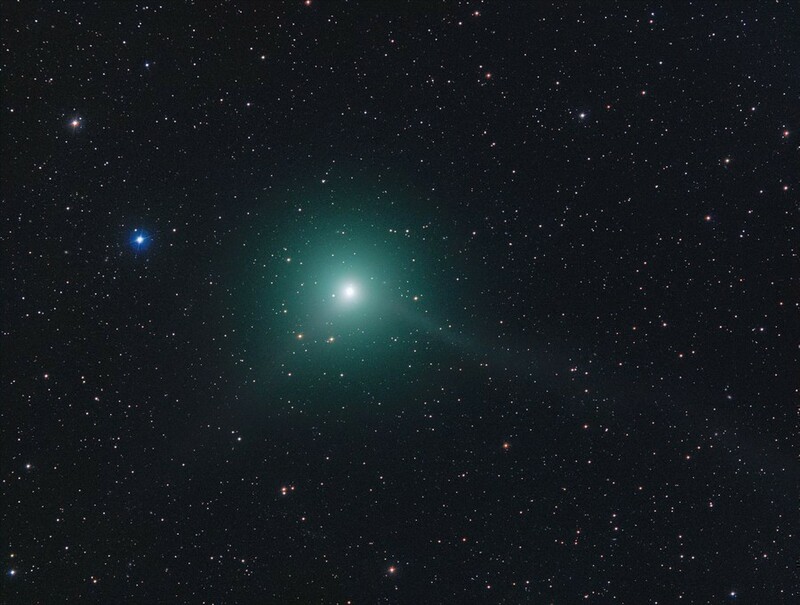 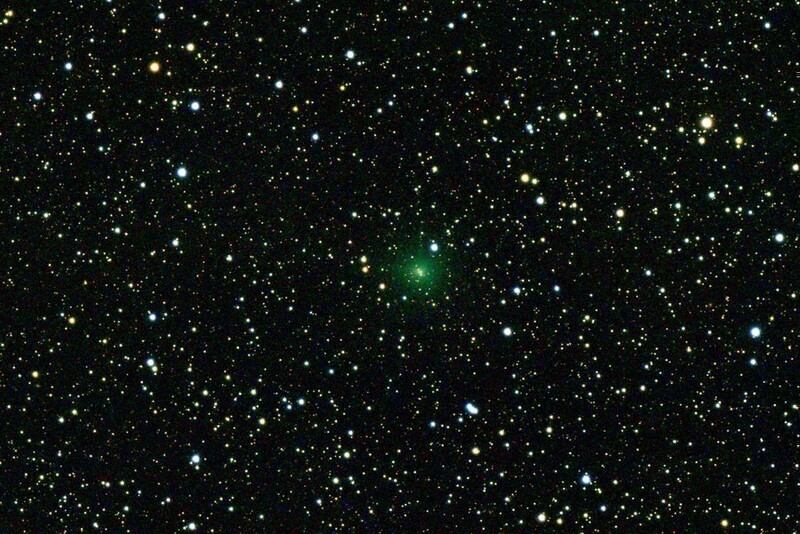 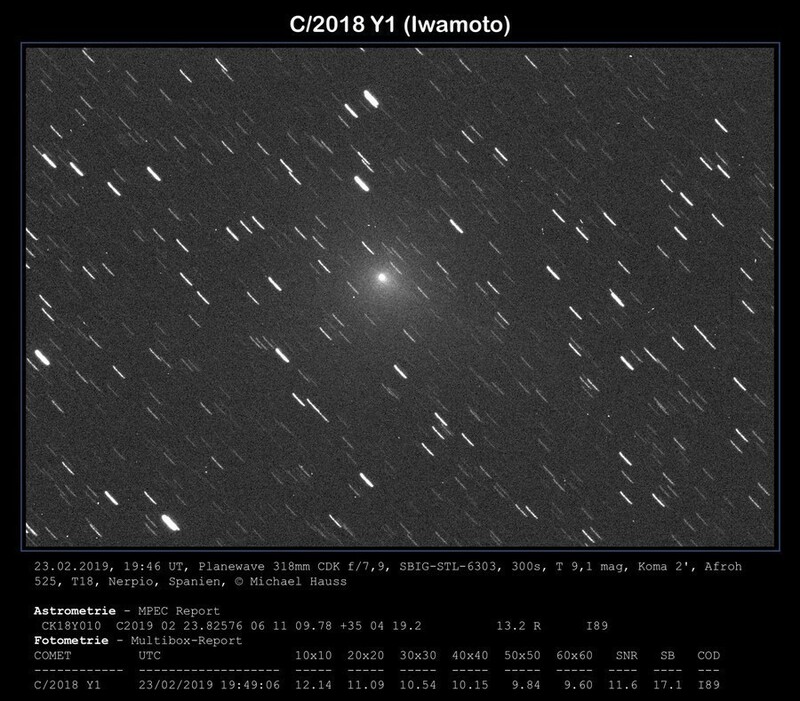 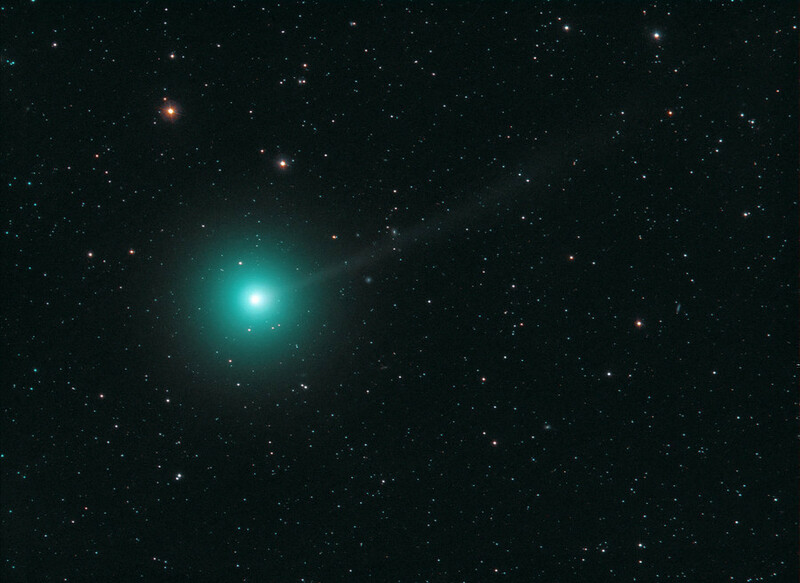 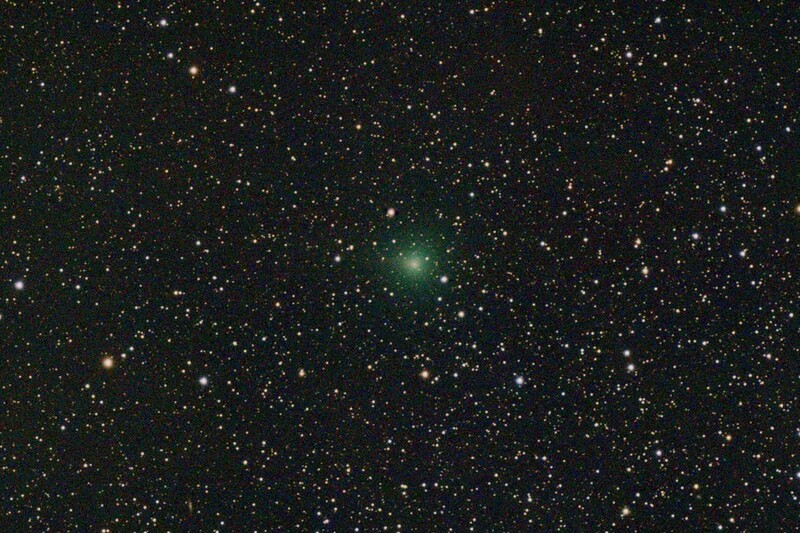 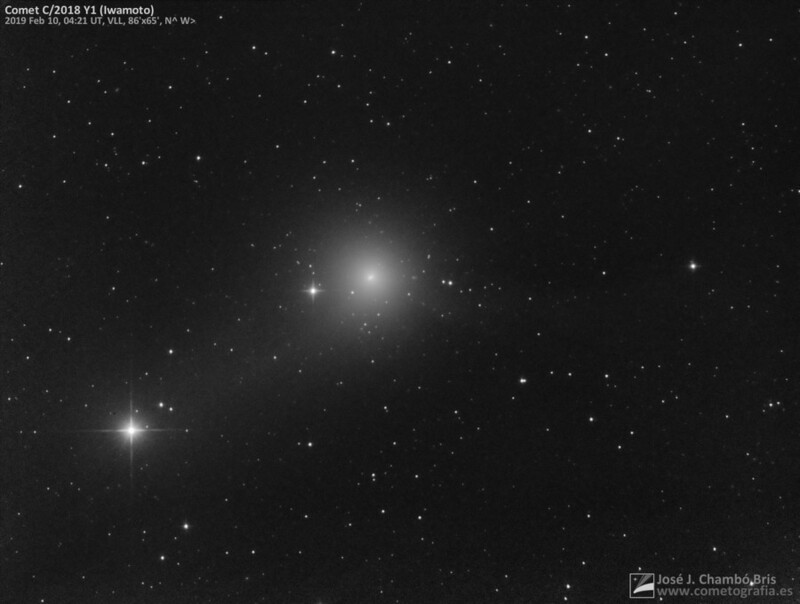 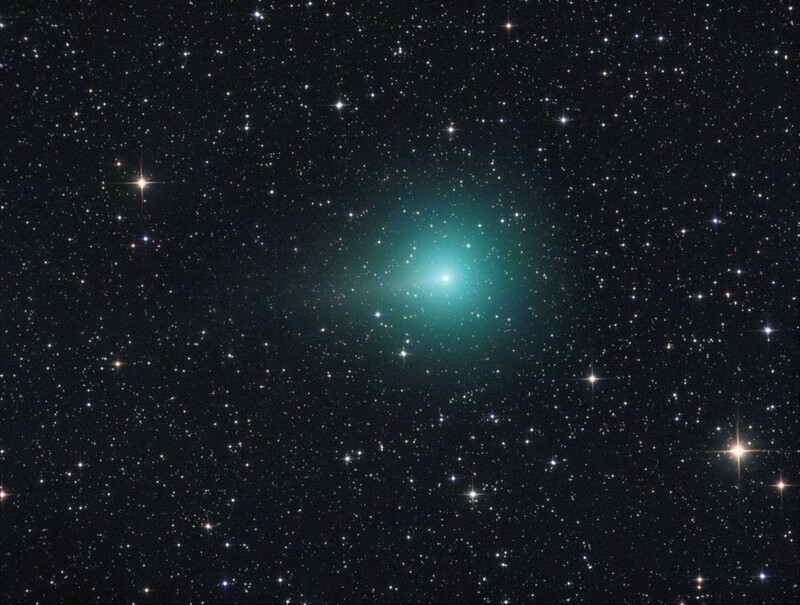 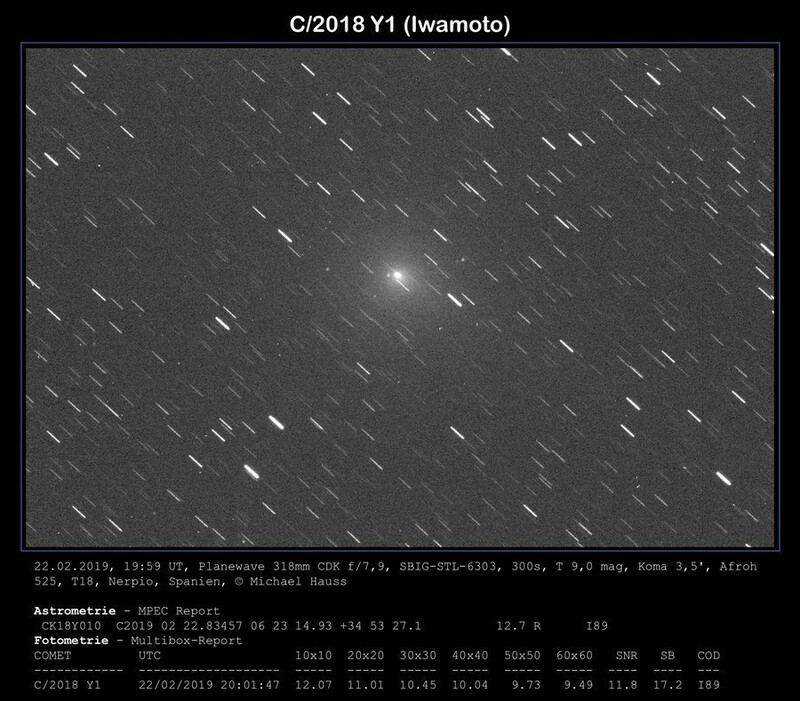 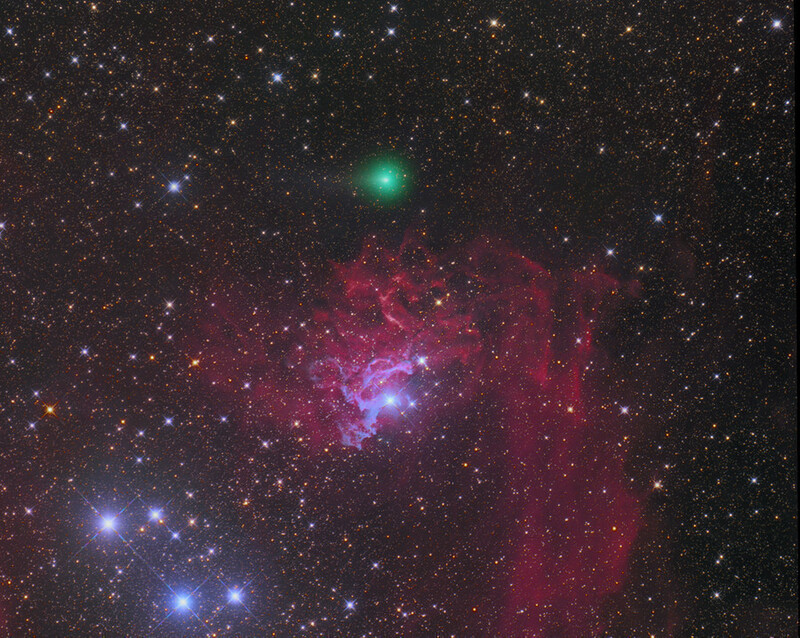 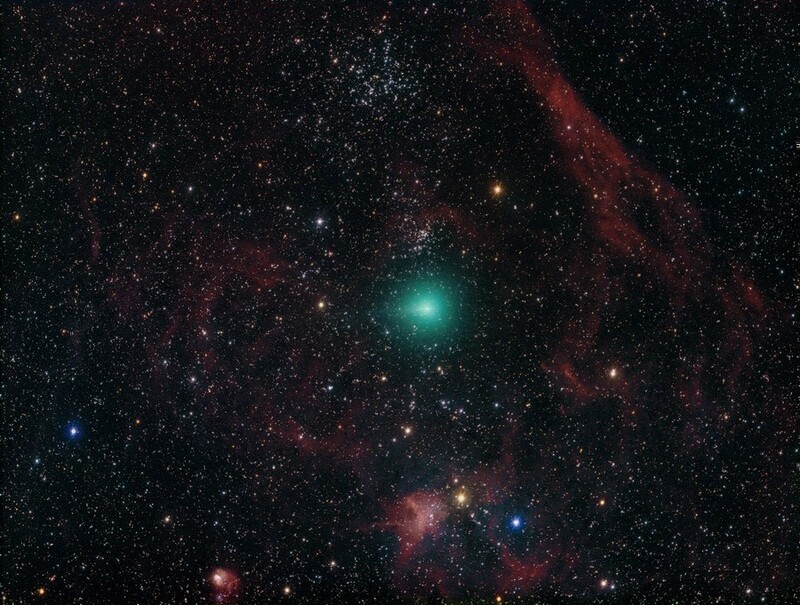 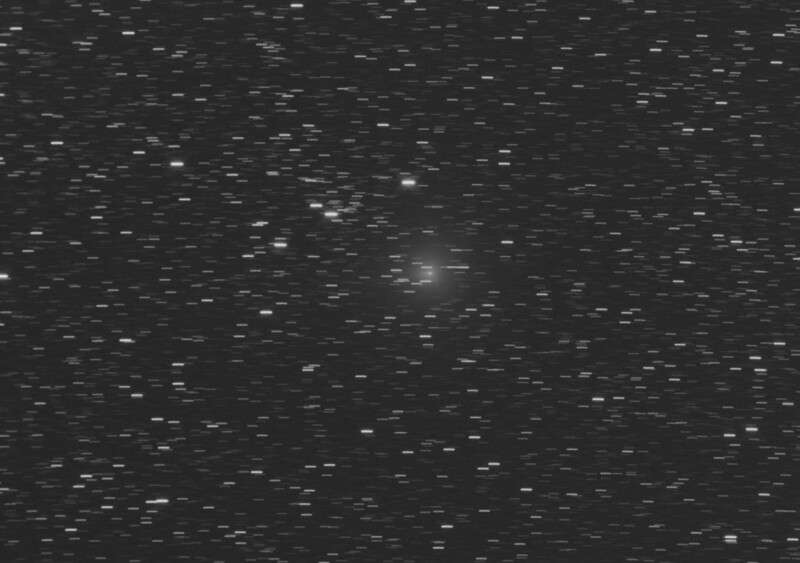 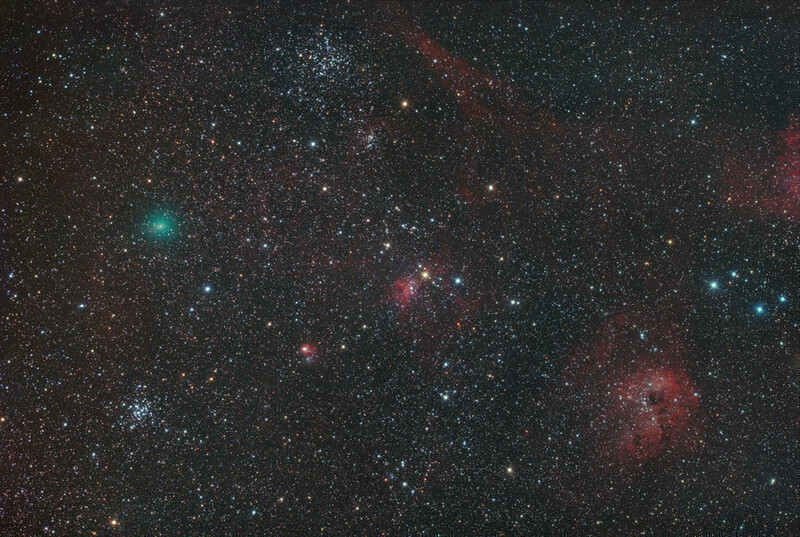 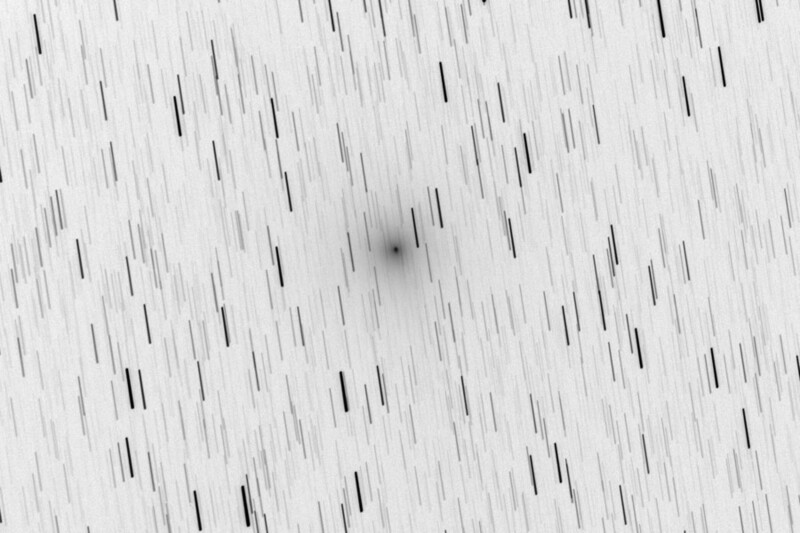 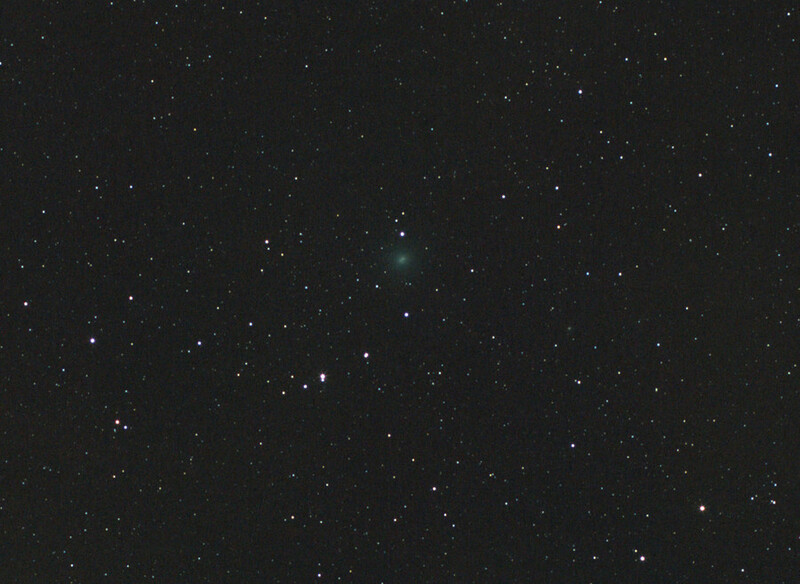 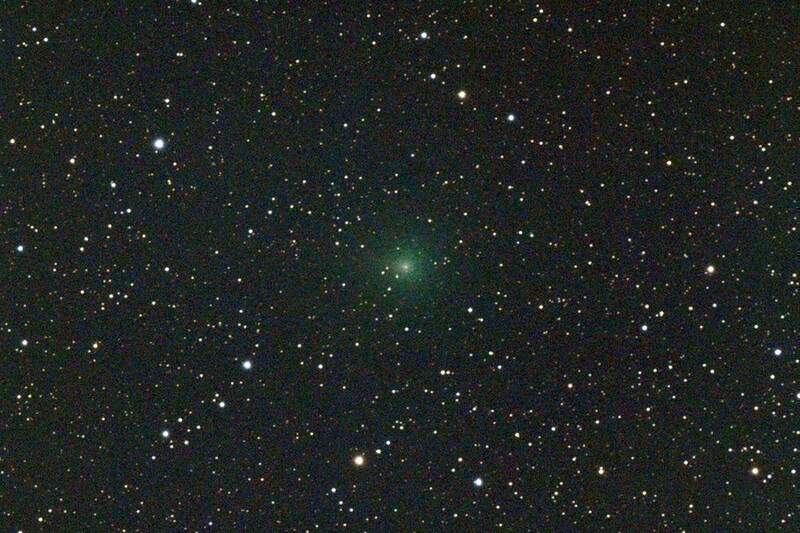 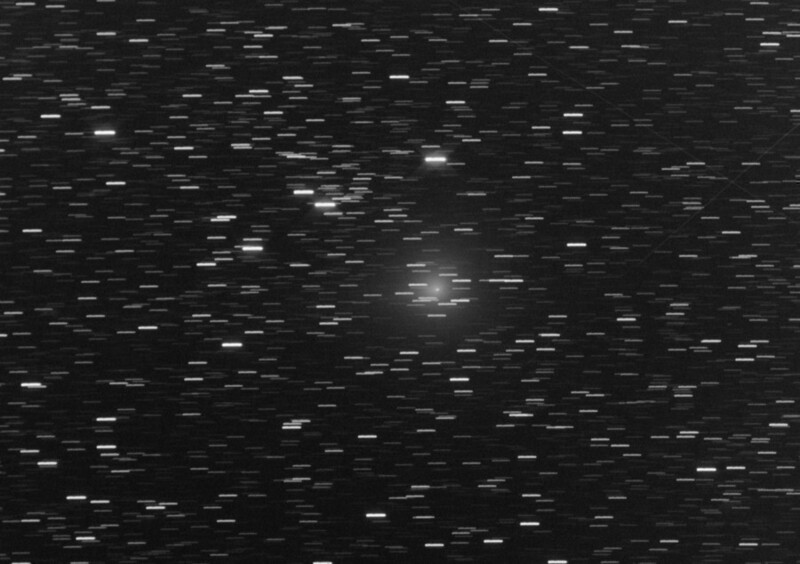 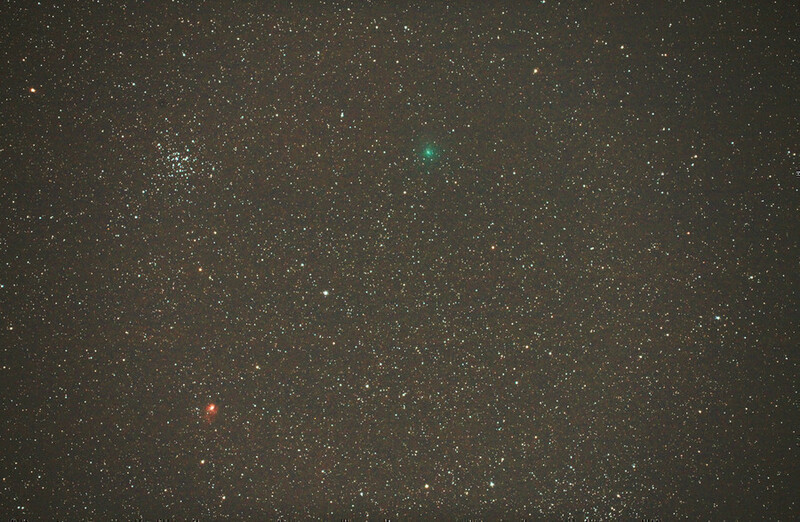 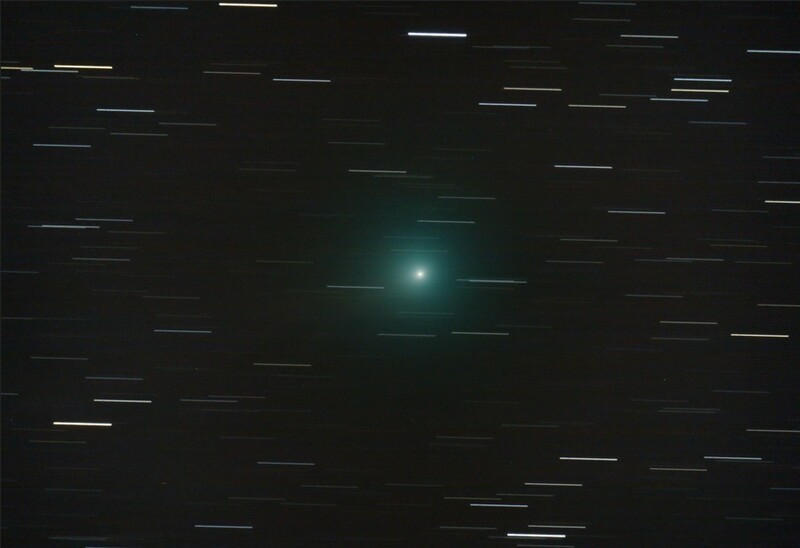 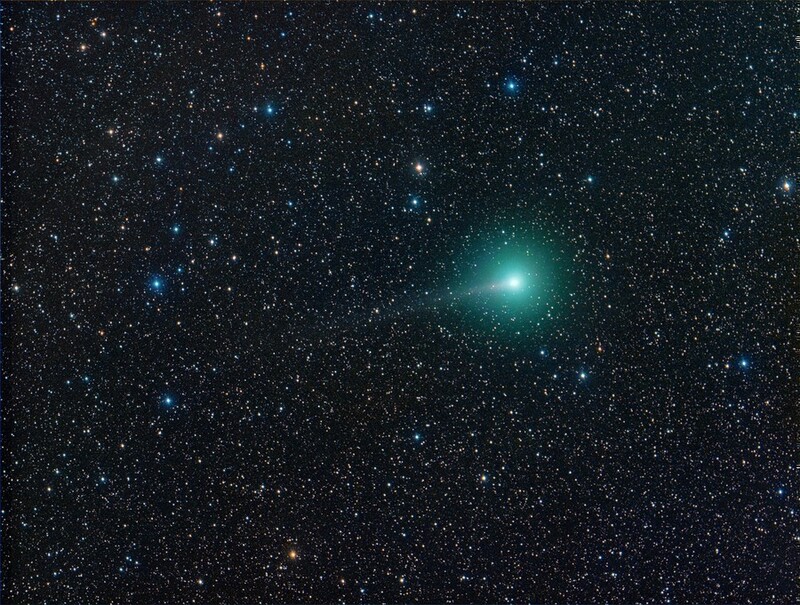 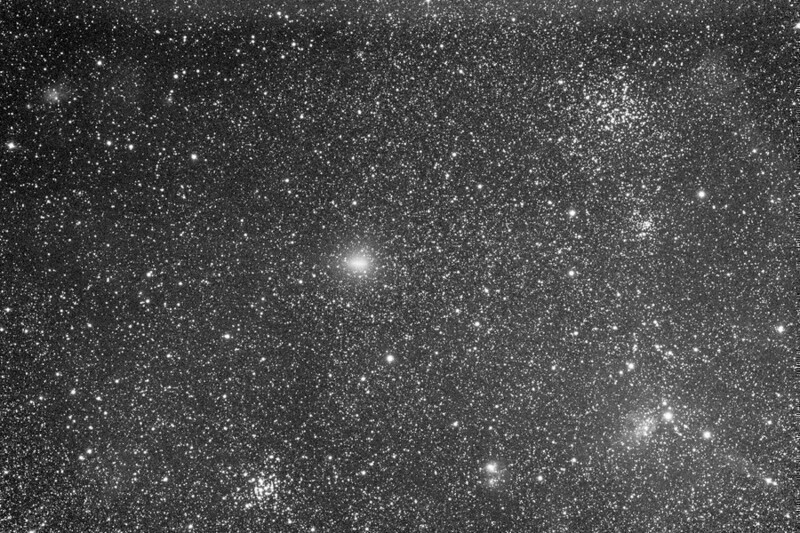 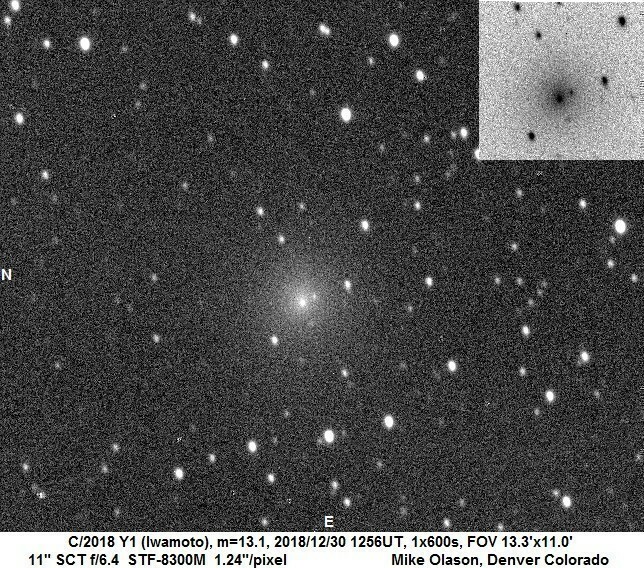 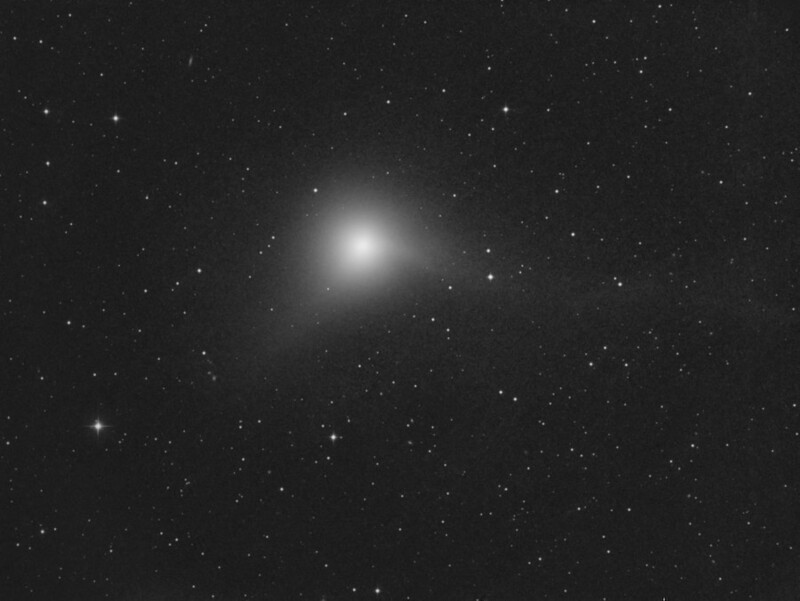 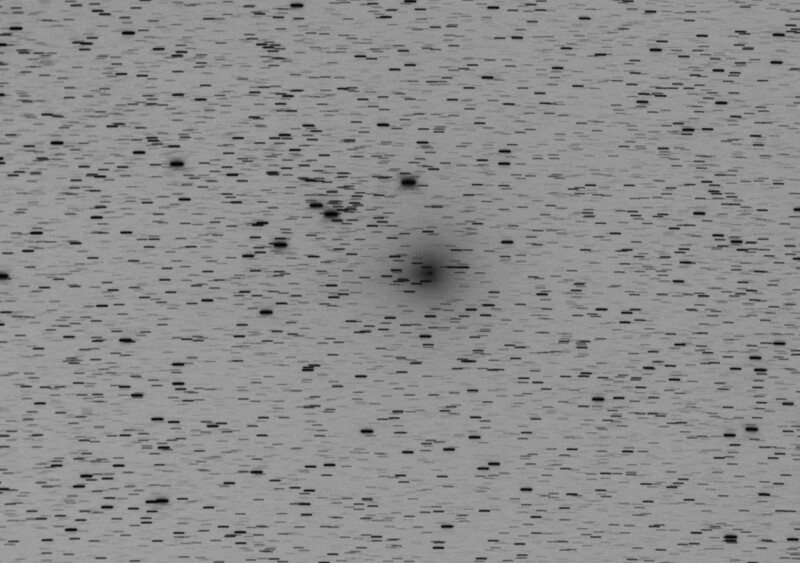 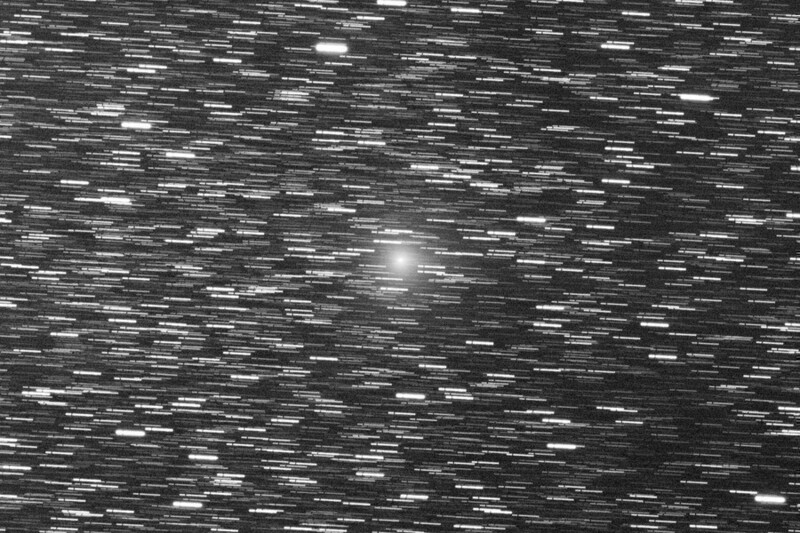 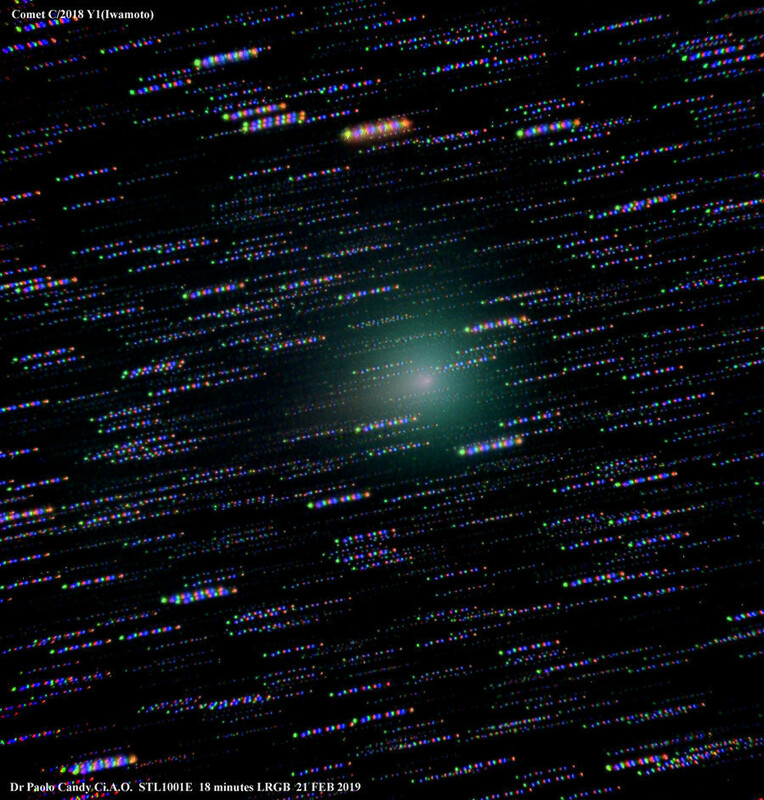 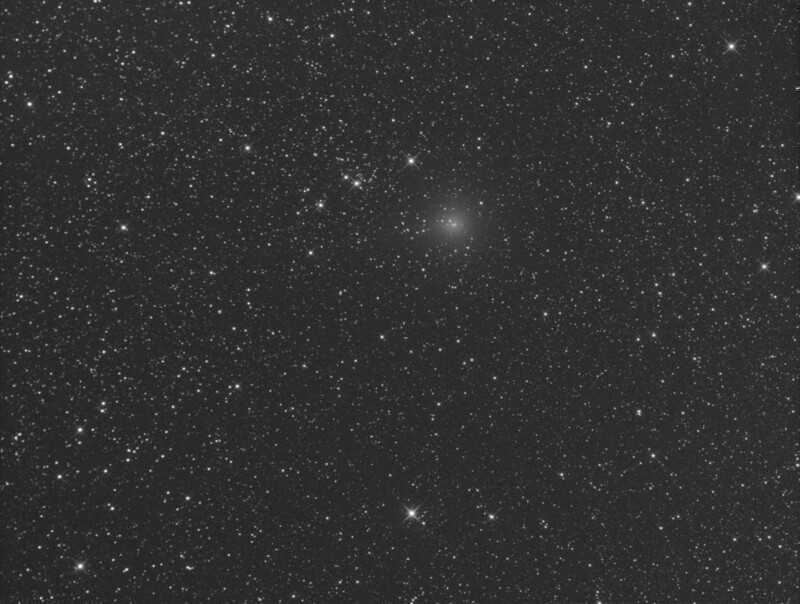 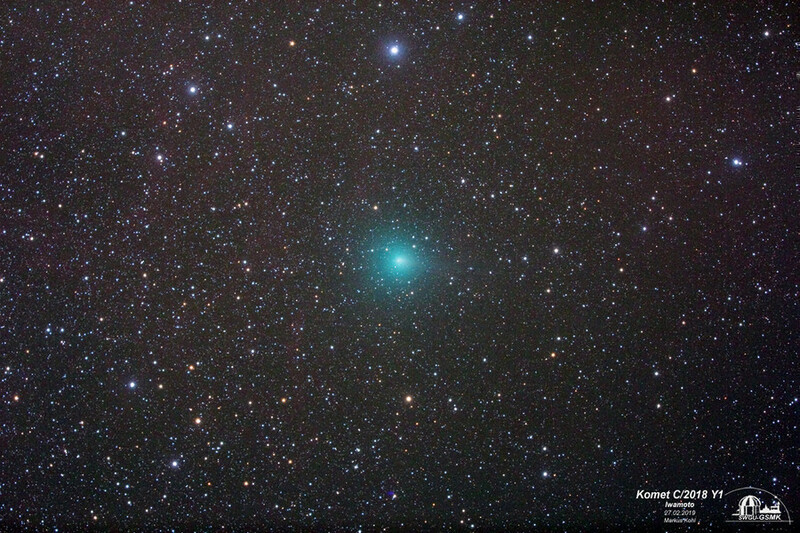 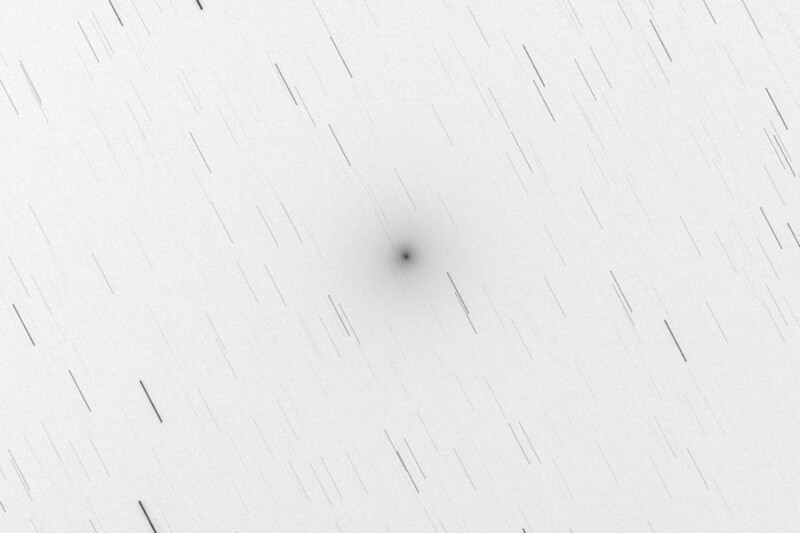 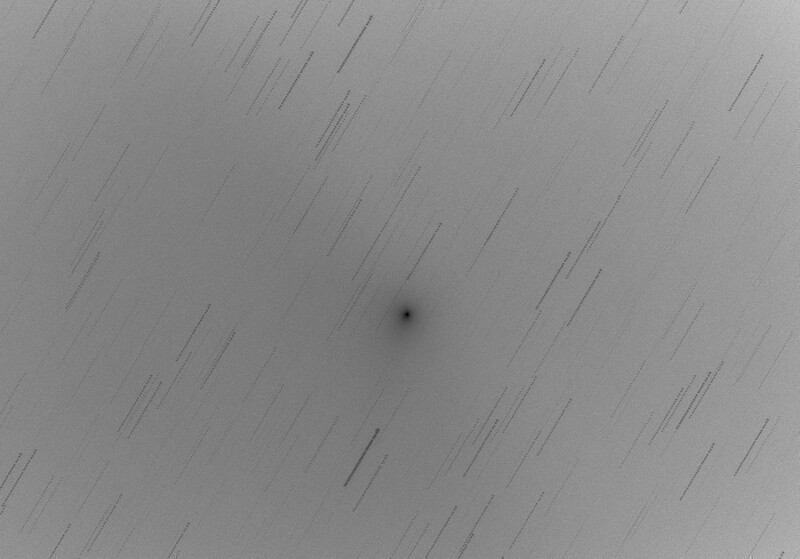 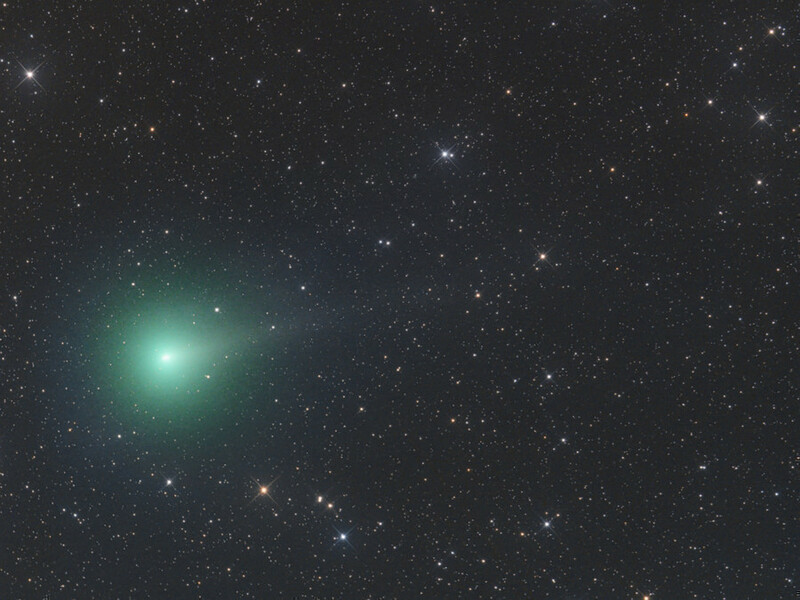 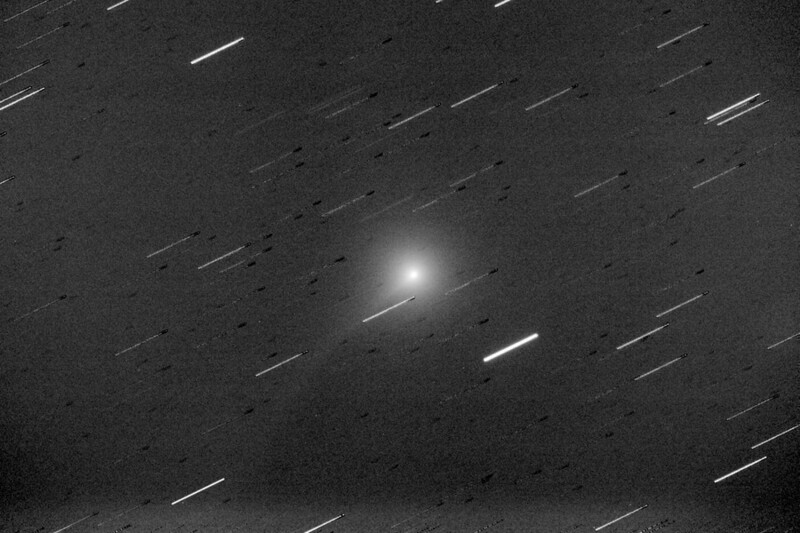 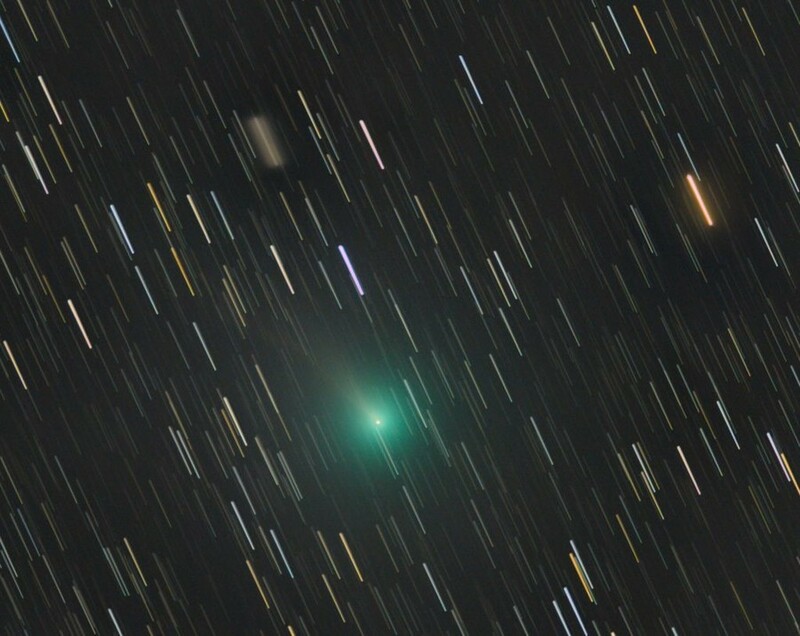 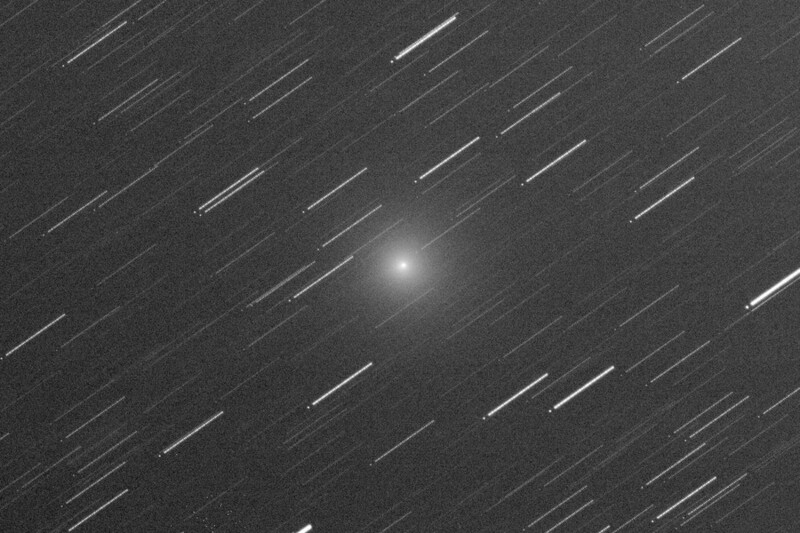 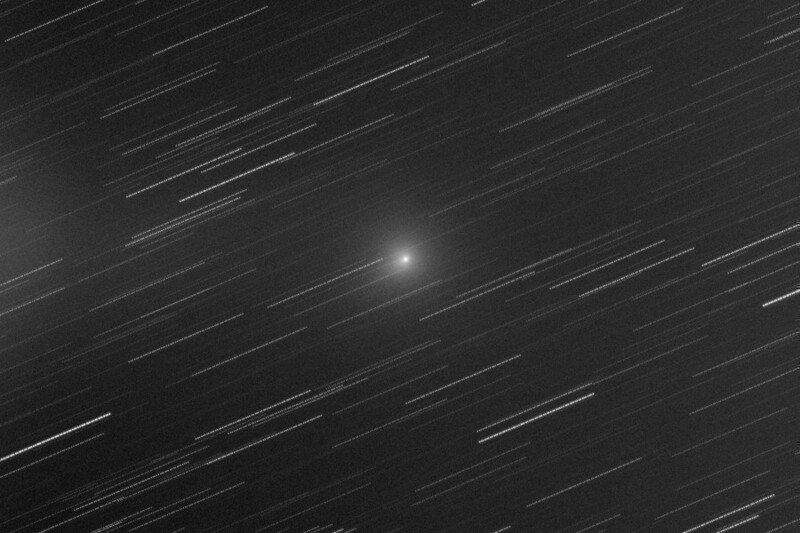 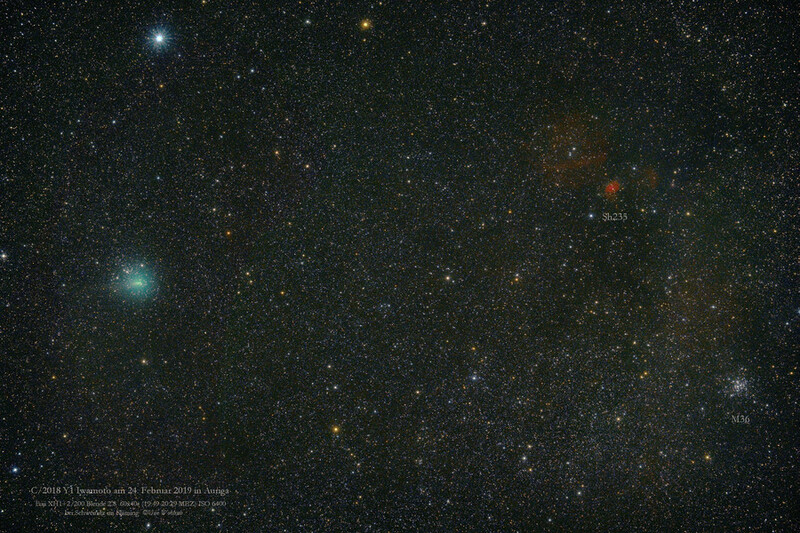 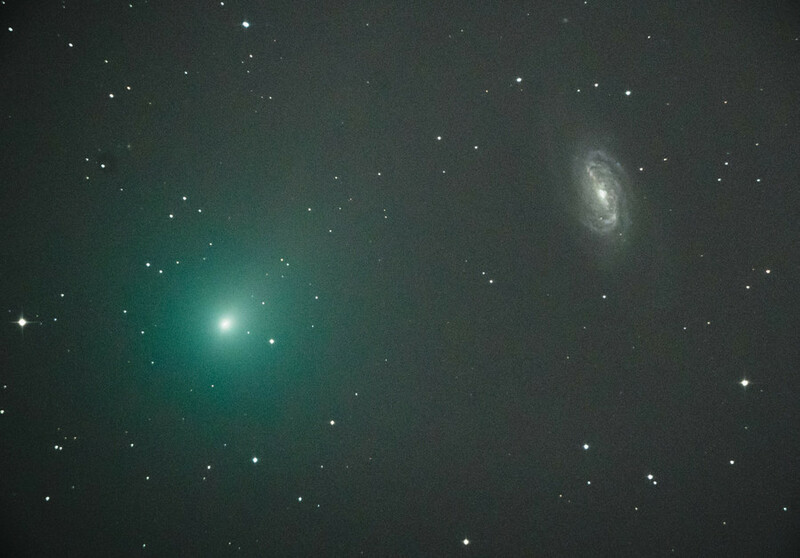 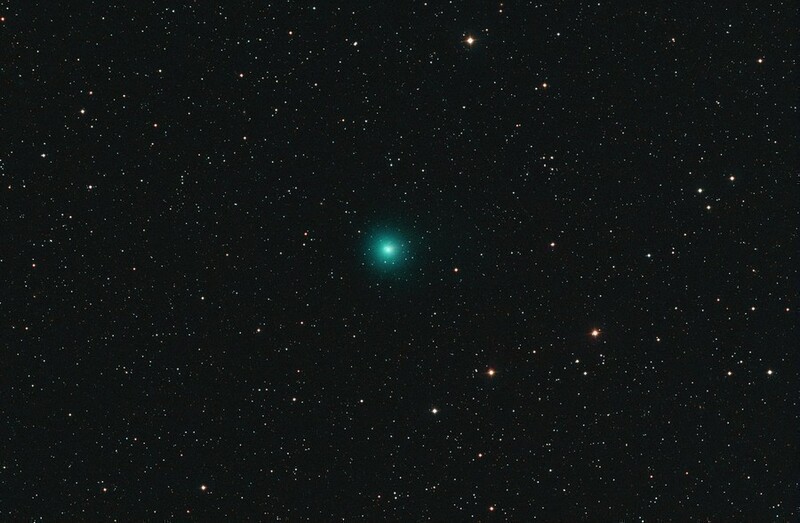 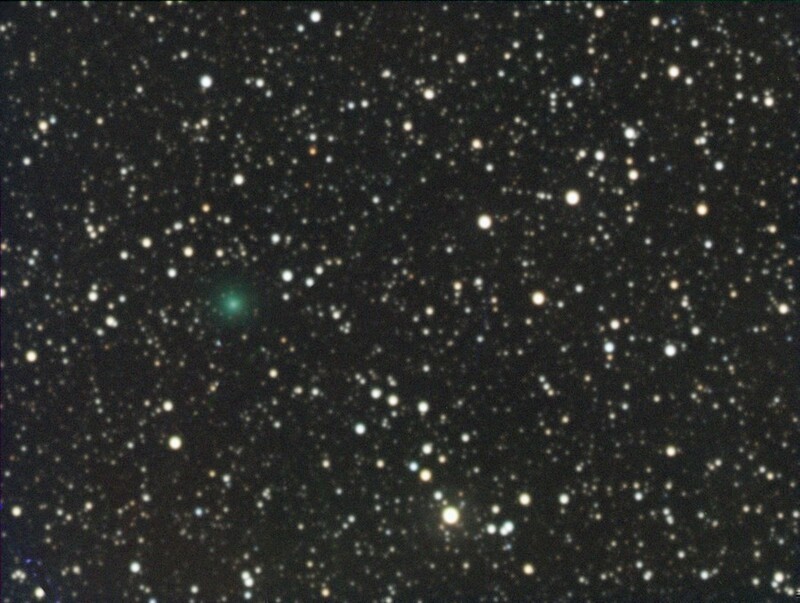 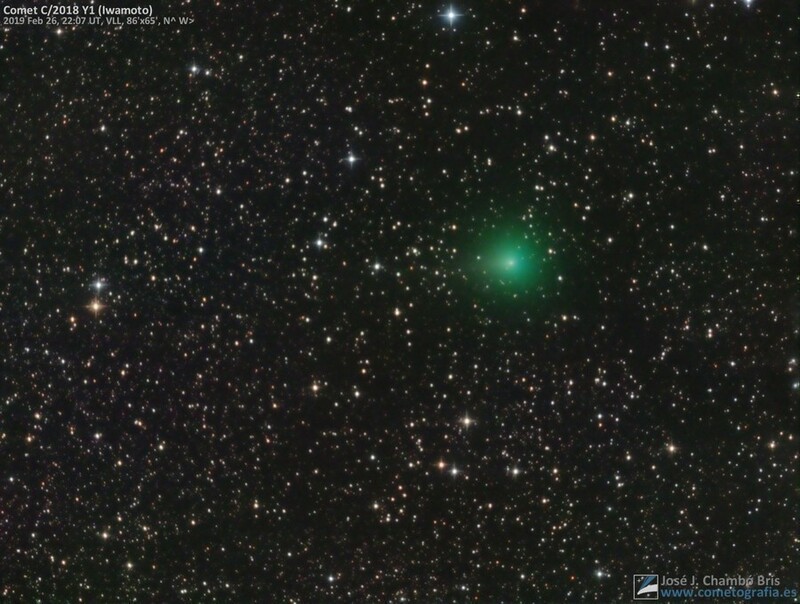 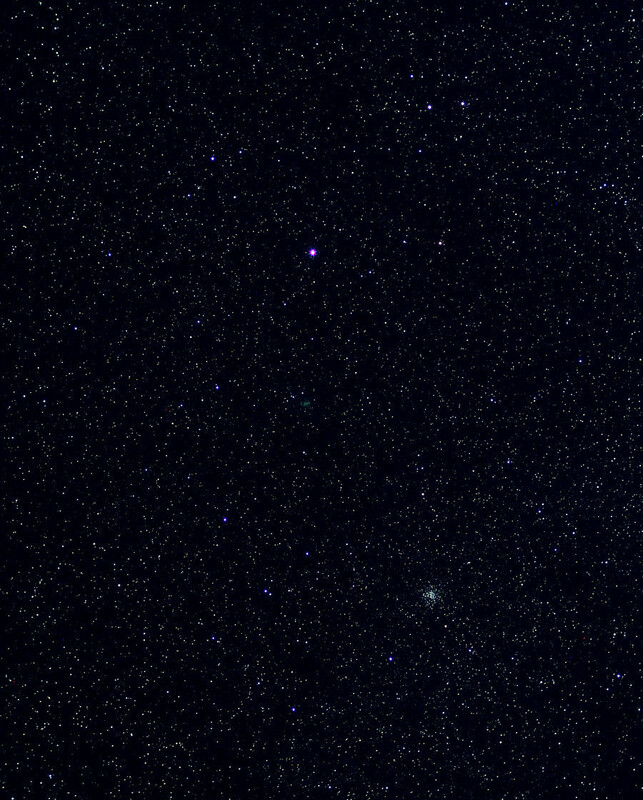 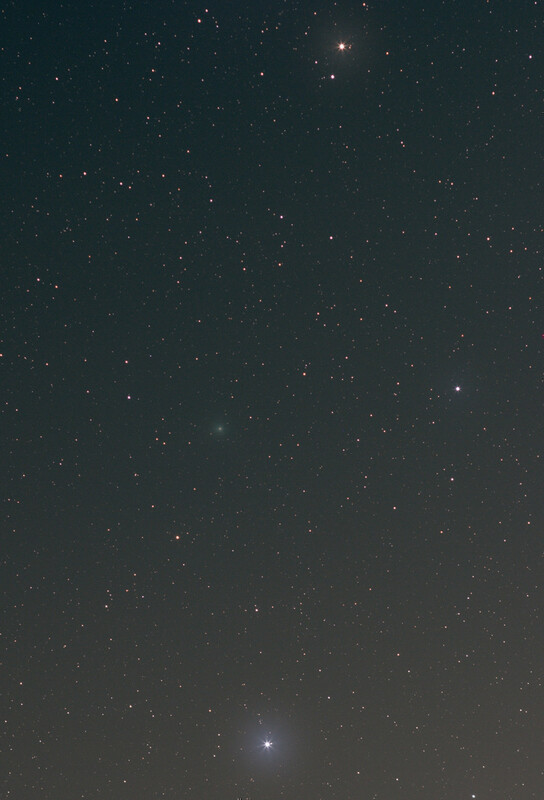 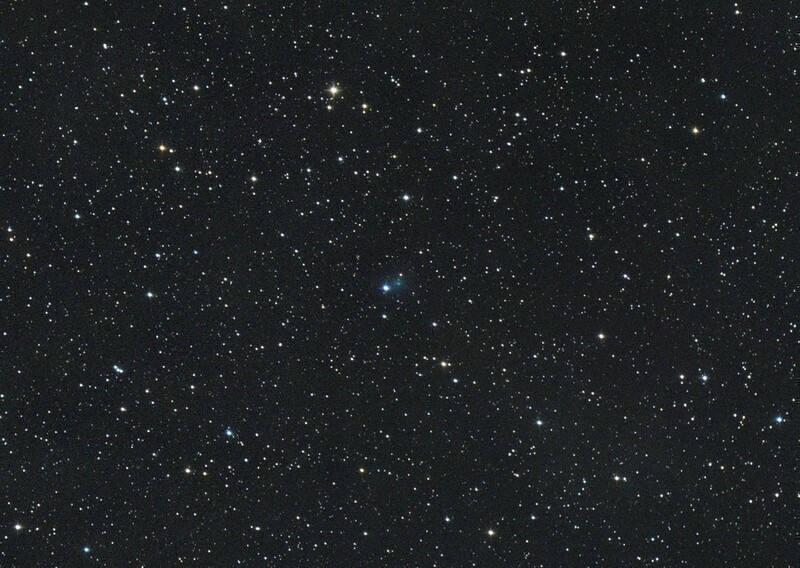 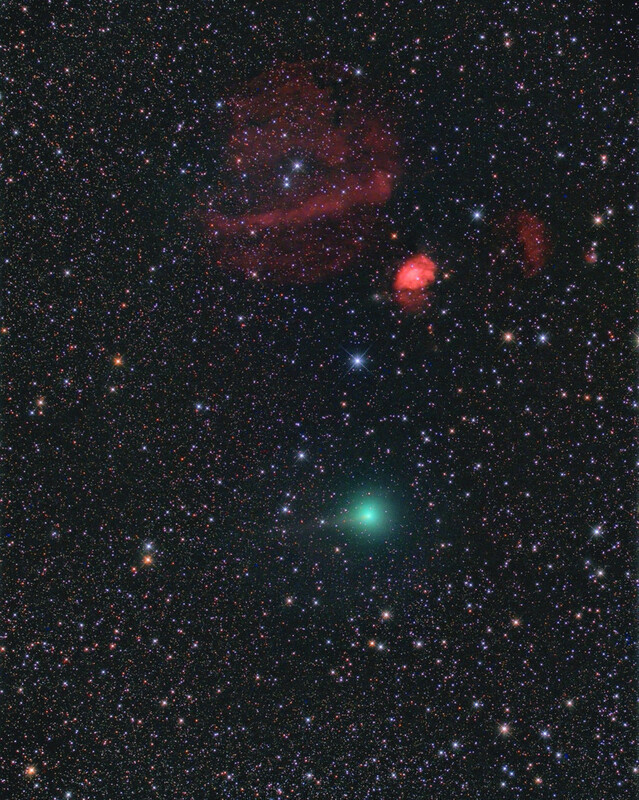 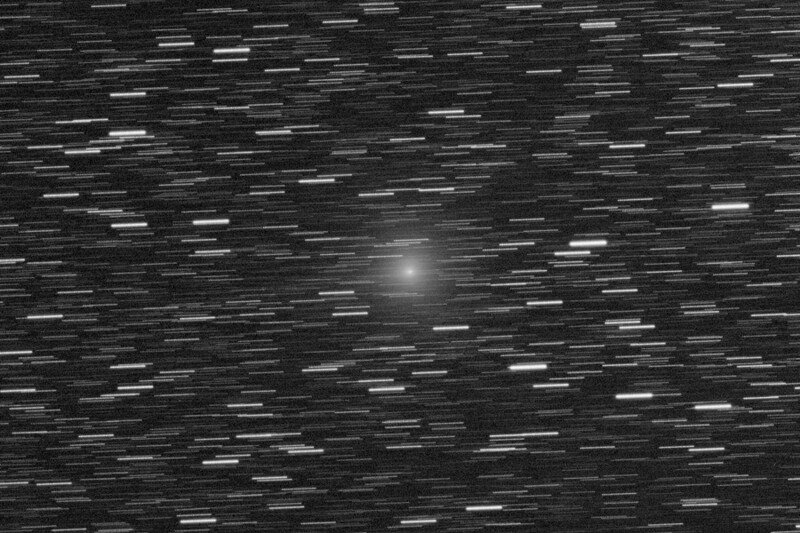 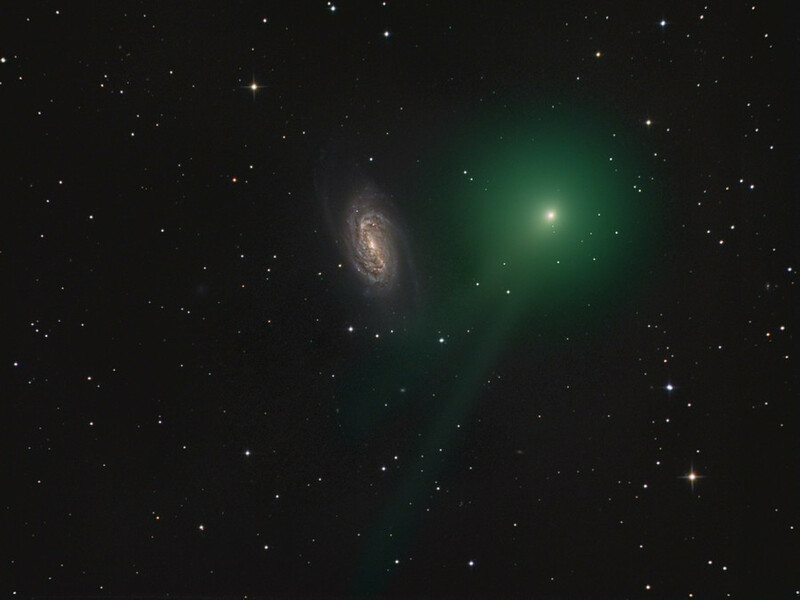 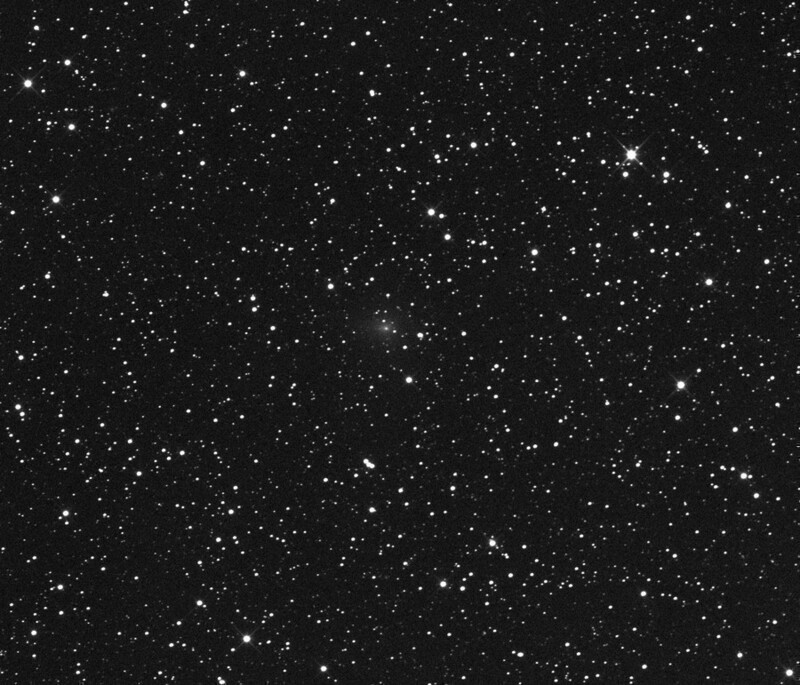 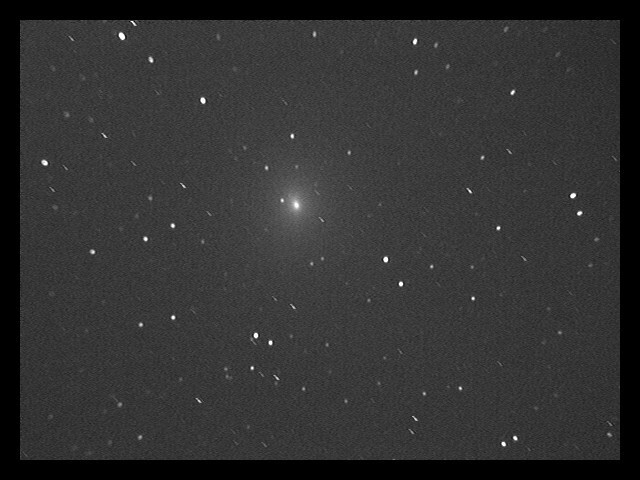 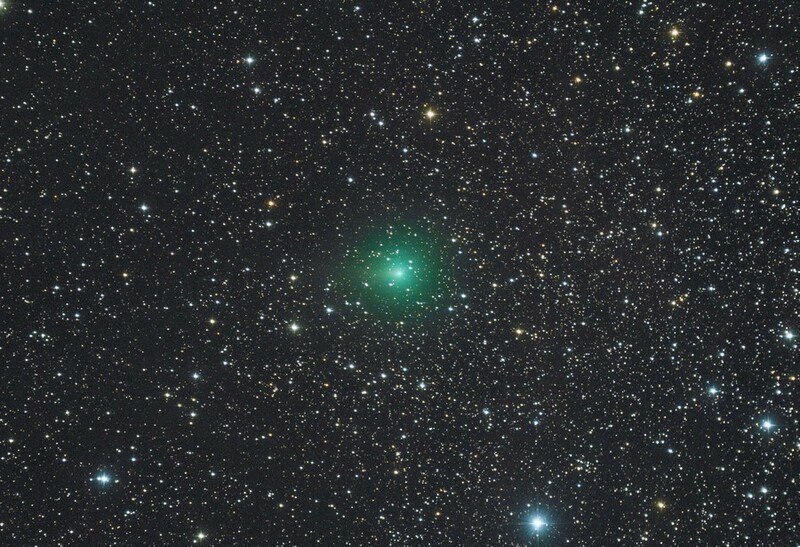 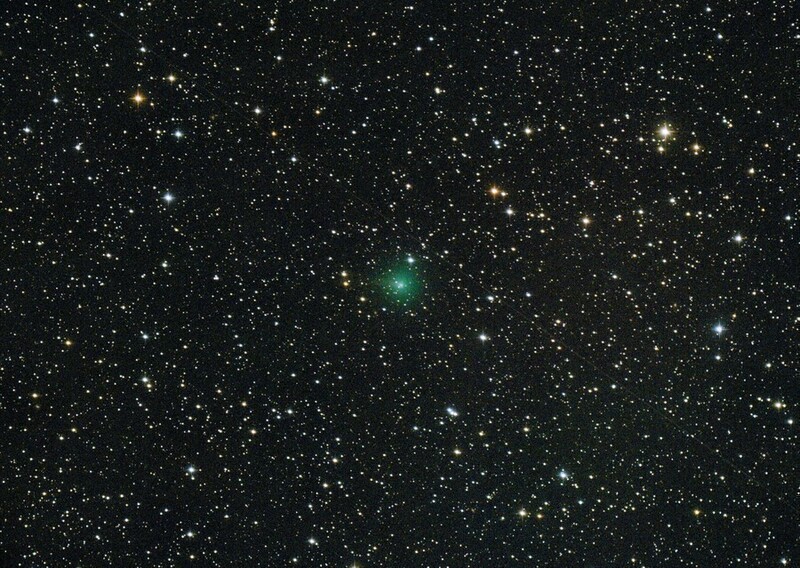 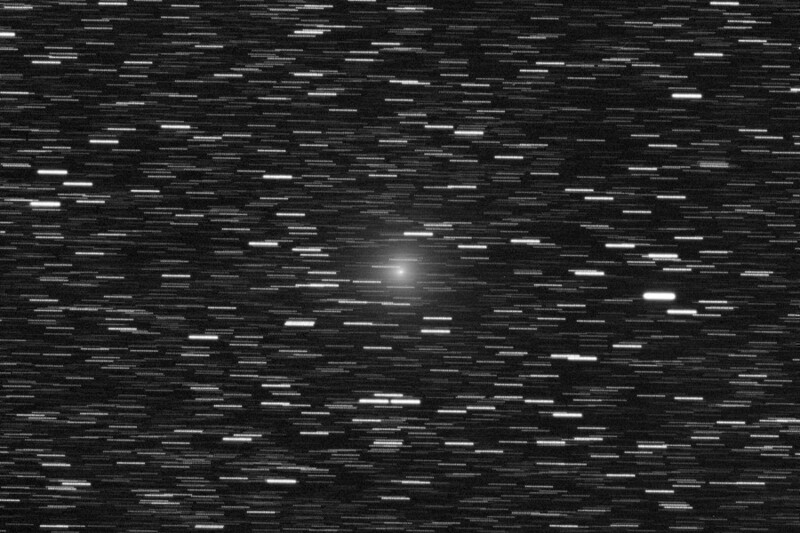 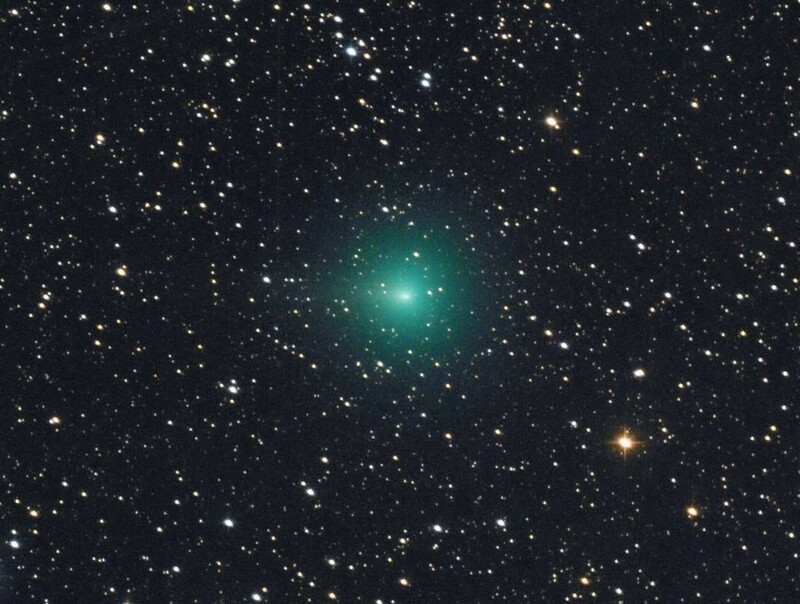 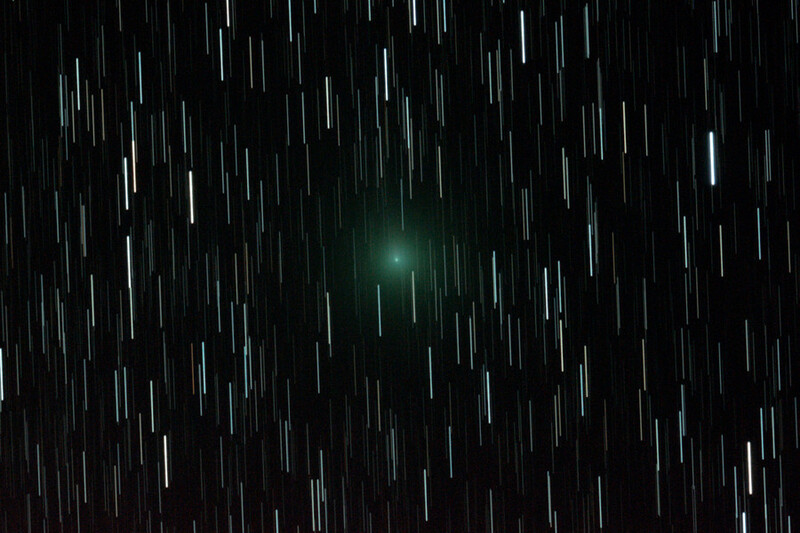 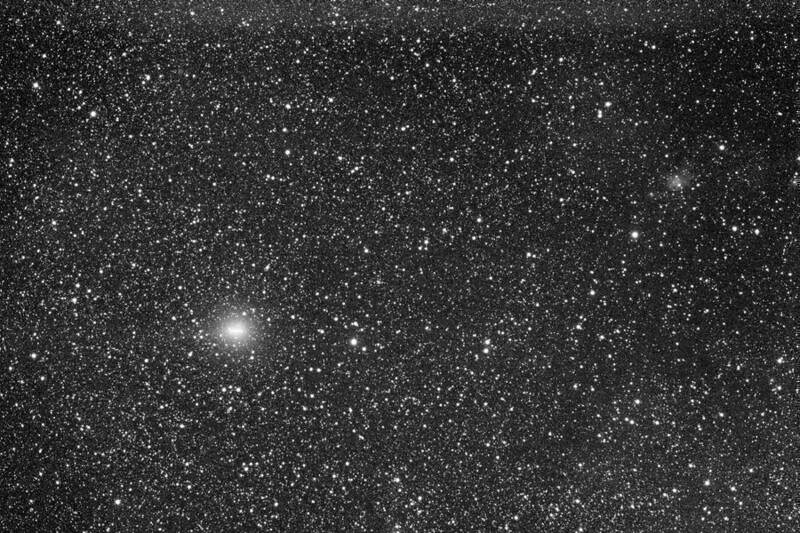 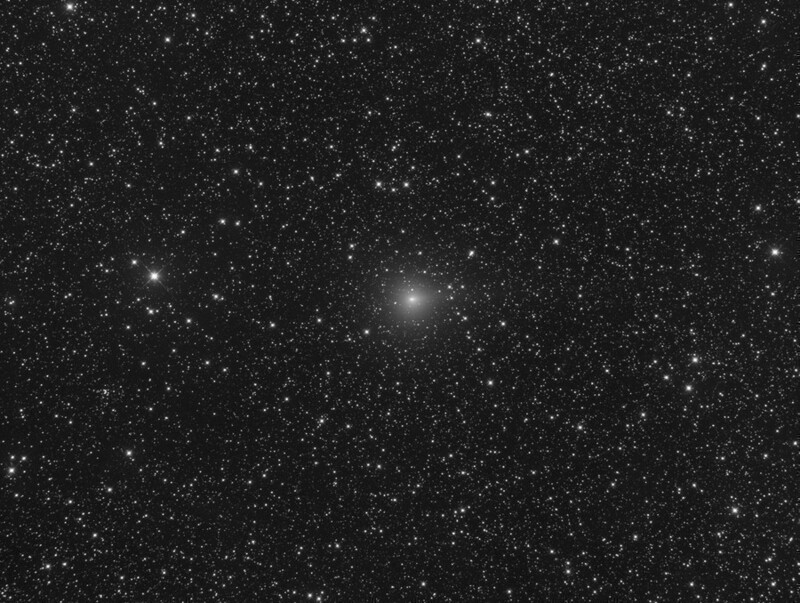 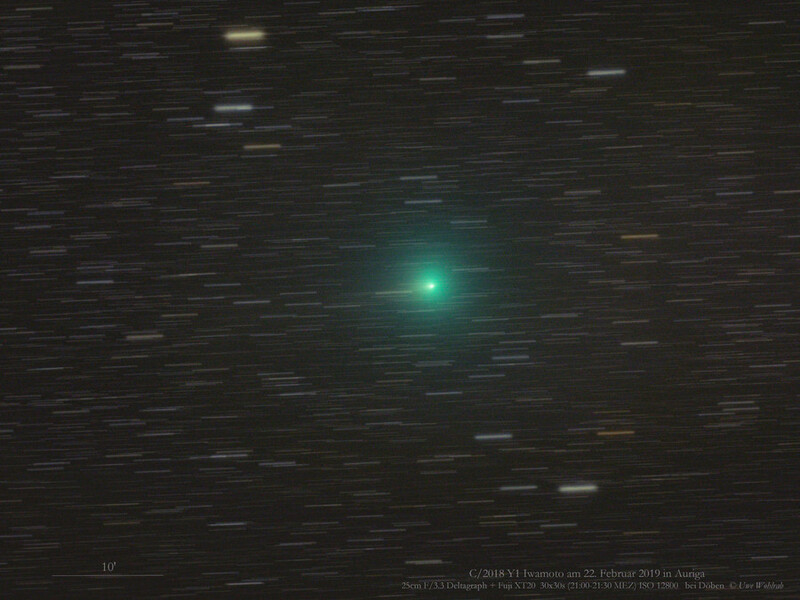 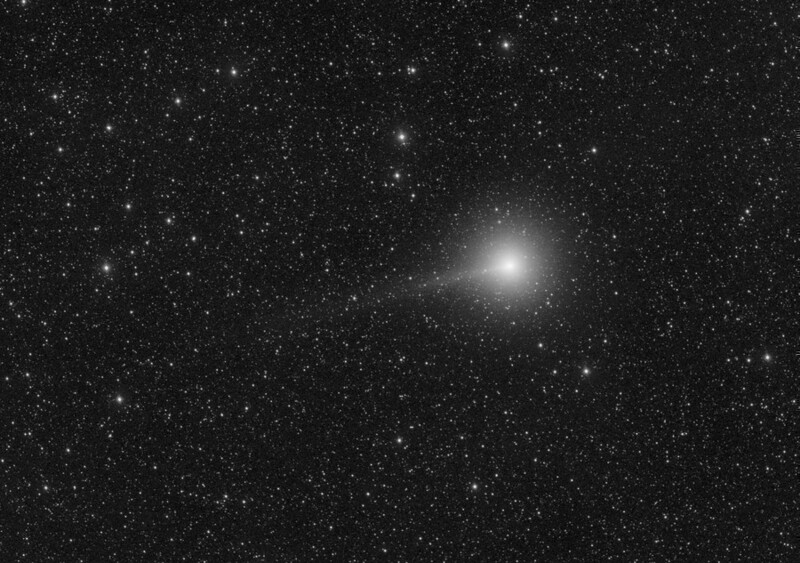 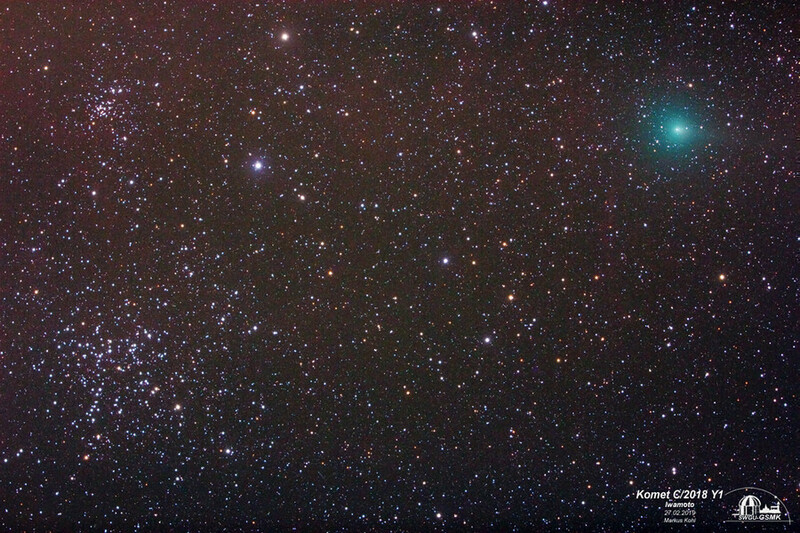 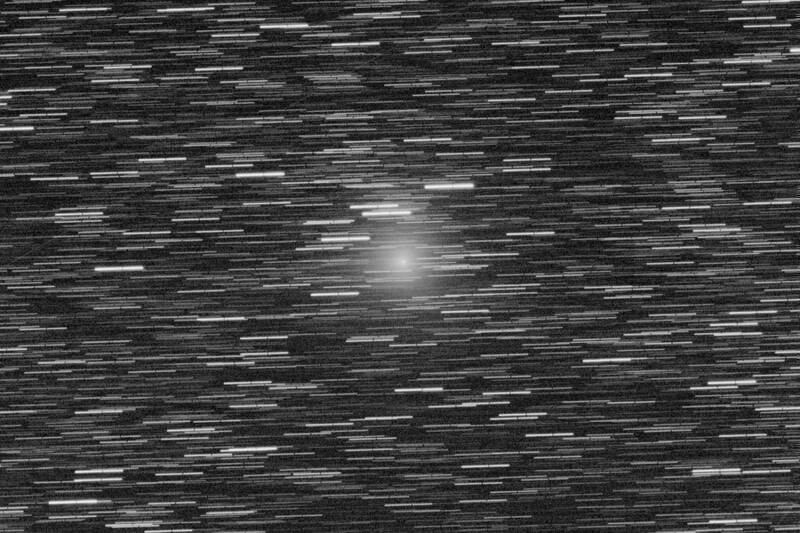 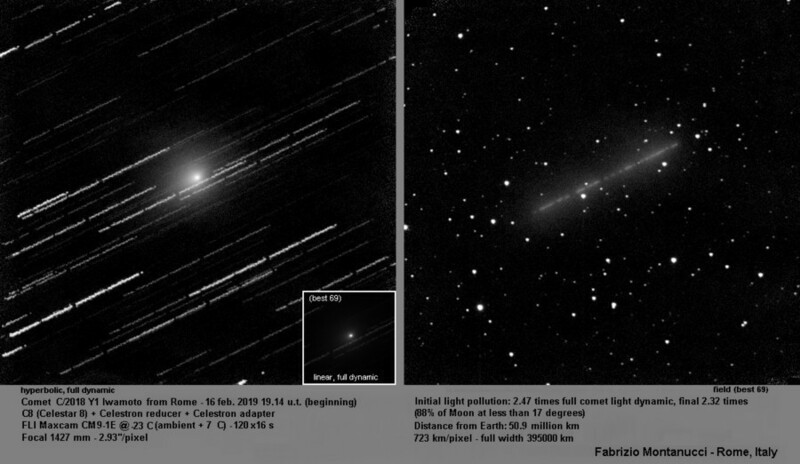 00h57m UT, Image processing Gerald Rhemannn, Data acquired by Gerhard Bachmayer Telescope: ASA 10" f 3.6 Camera: FLI ML 8300 Mount: ASA DDM85 Exposure time: LRGB 24/10/10/10 min. 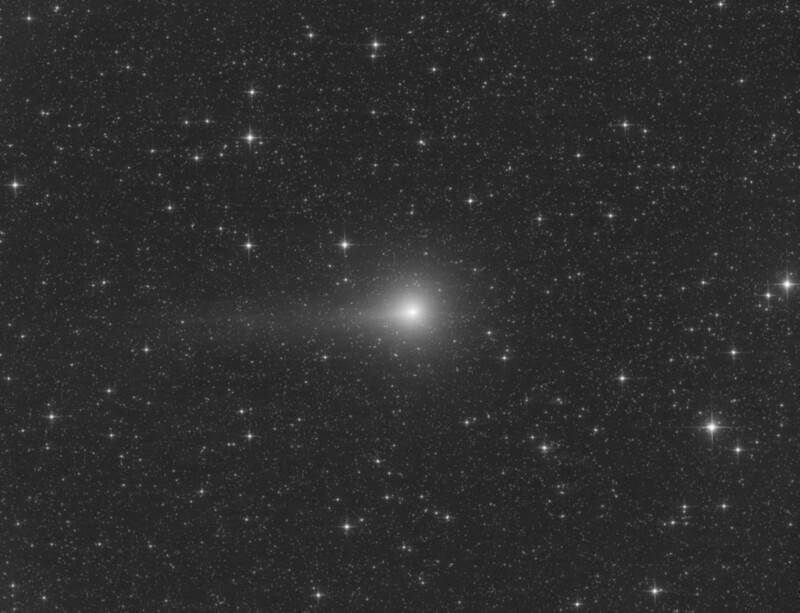 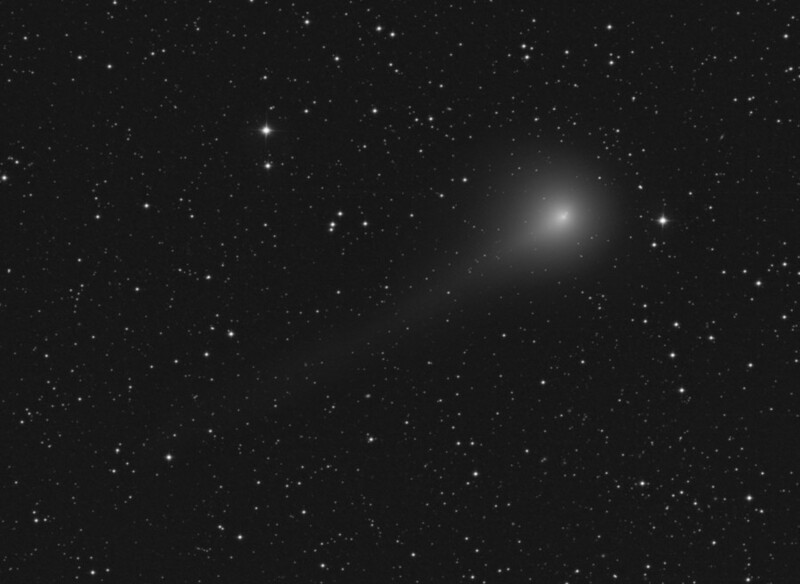 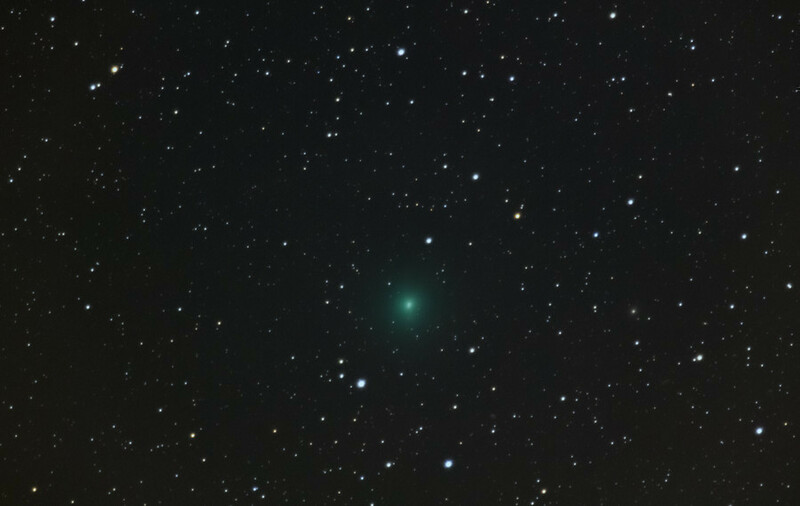 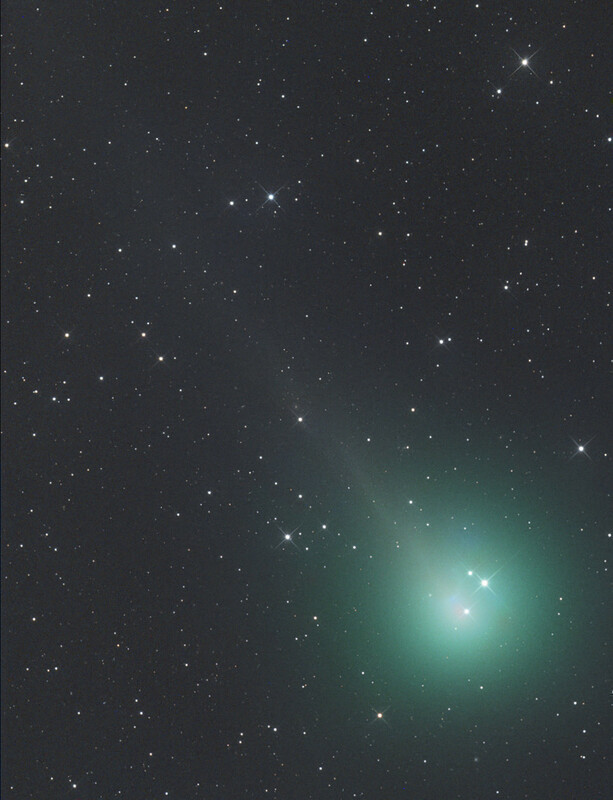 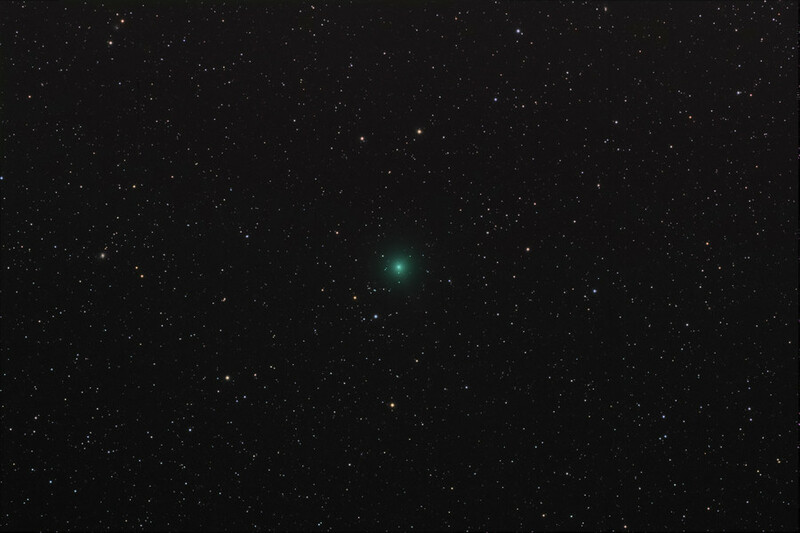 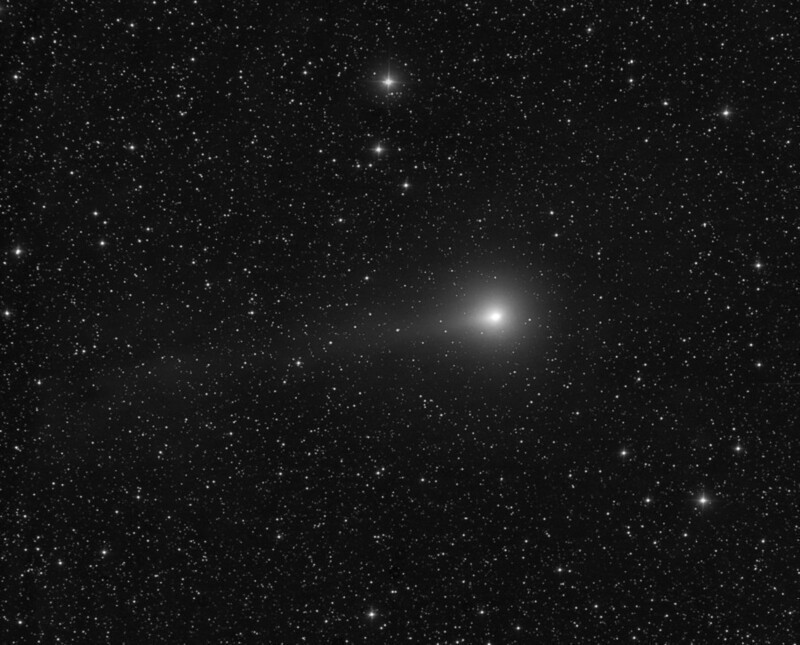 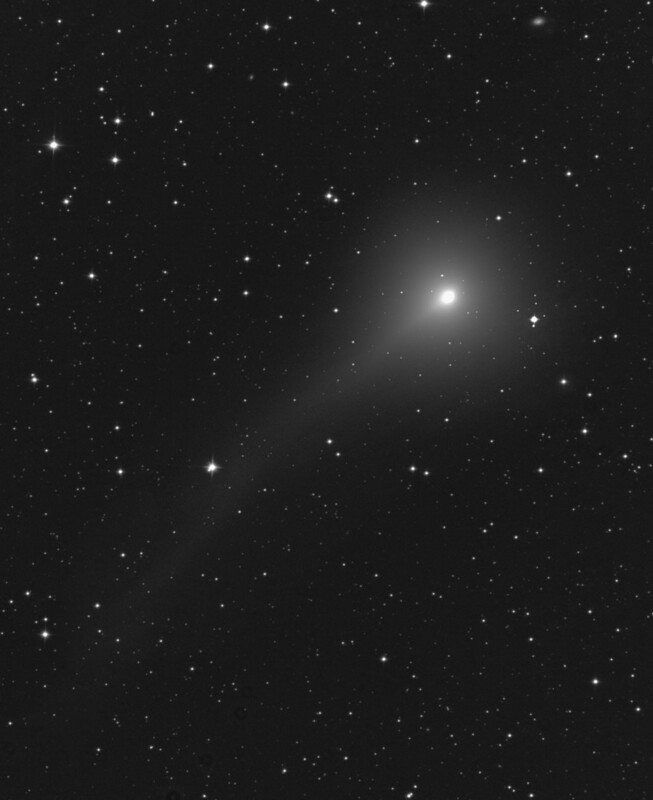 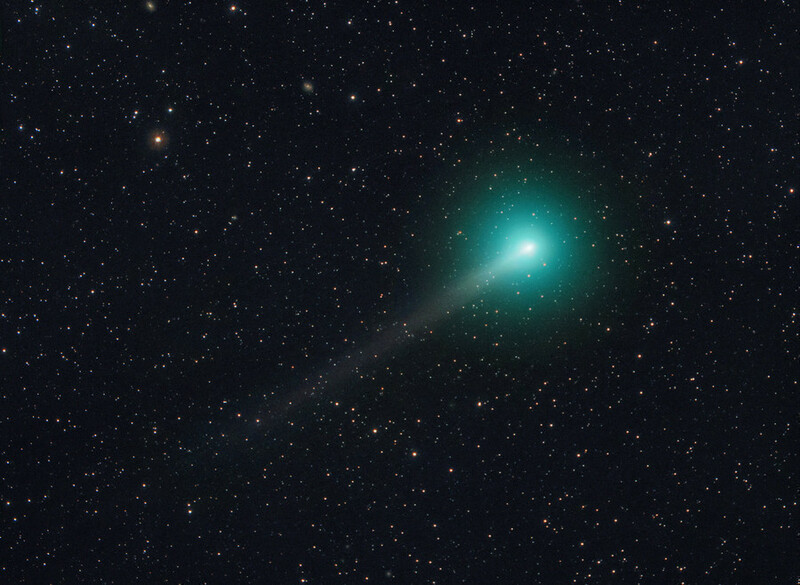 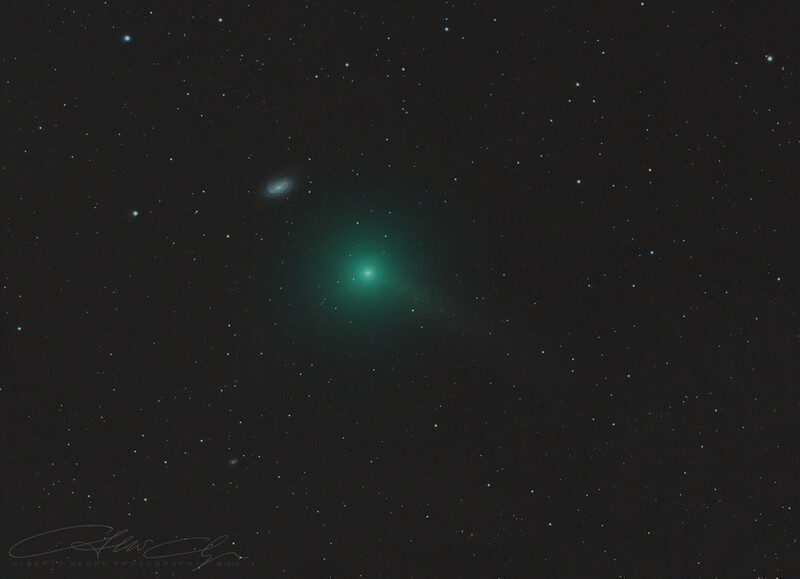 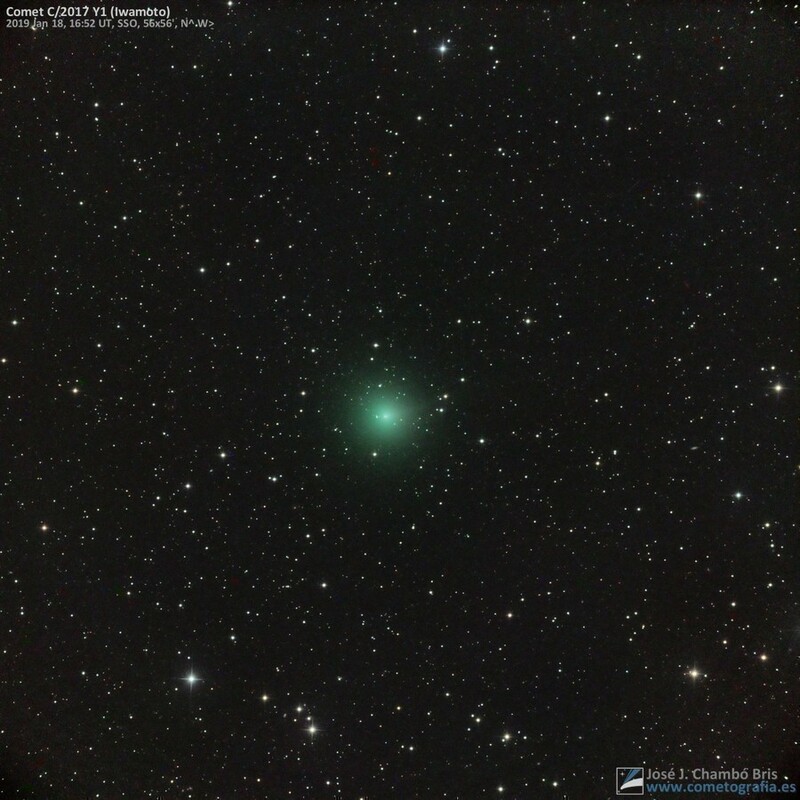 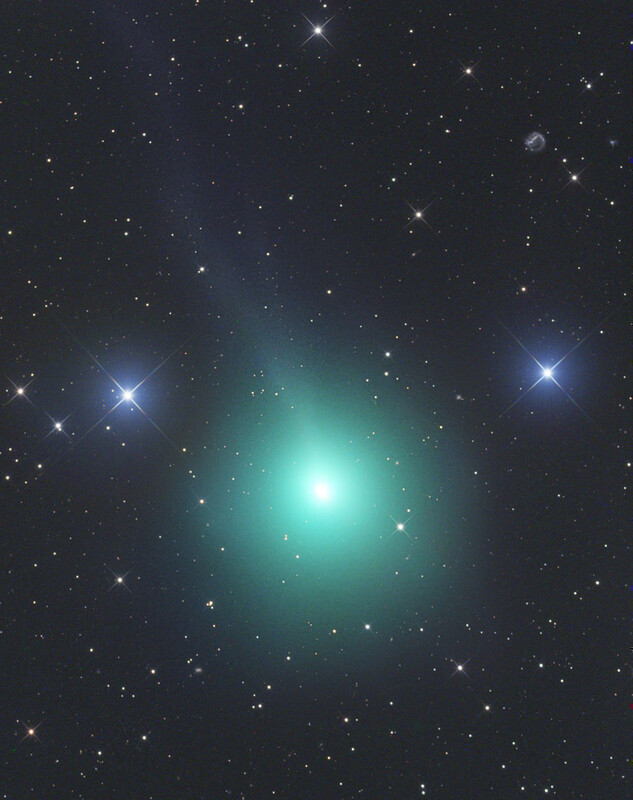 02h14m UT, Image processing by Gerald Rhemann Data acquired by Gerhard Bachmayer Telescope: ASA 10" f 3.6 Camera: FLI ML 8300 Mount: ASA DDM85 Exposure time: LRGB 24/10/10/10 min. 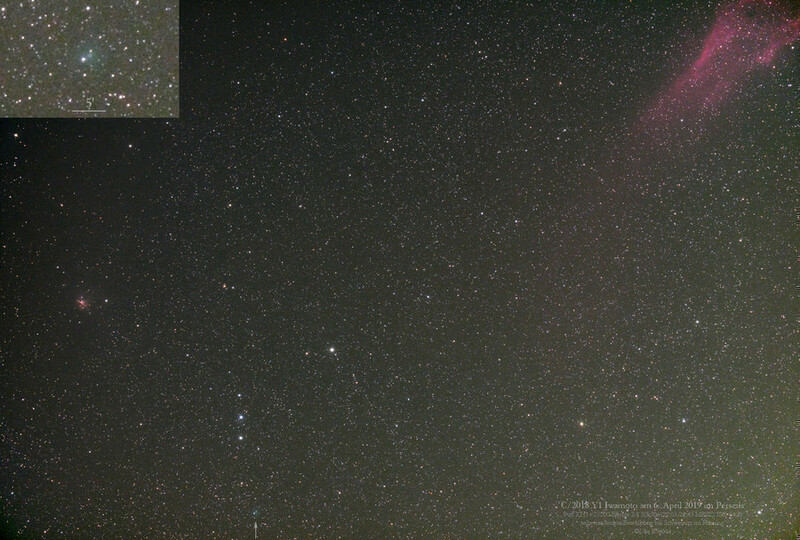 UT, 02h57m Telescope: ASA 10" f 3.6 Camera: FLI ML 8300 Exposure time: LRGB 24/10/10/10 min. 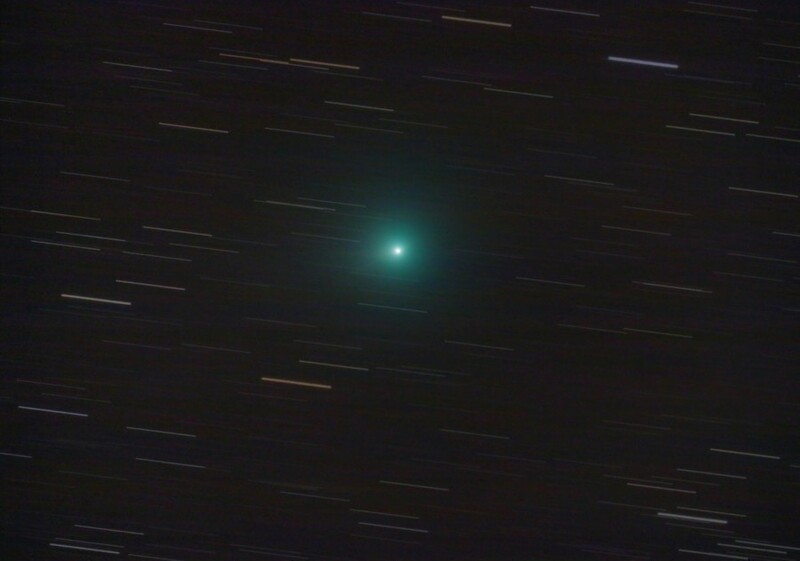 Taken remotely on Jan 31 2019 from New Mexico Skies at Mayhill, New Mexico. 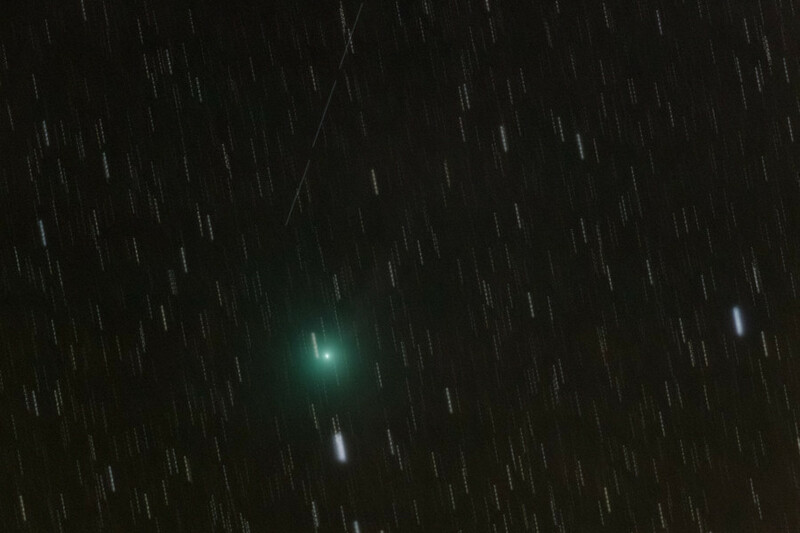 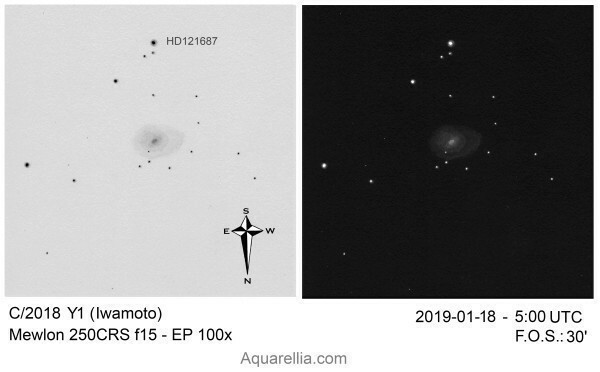 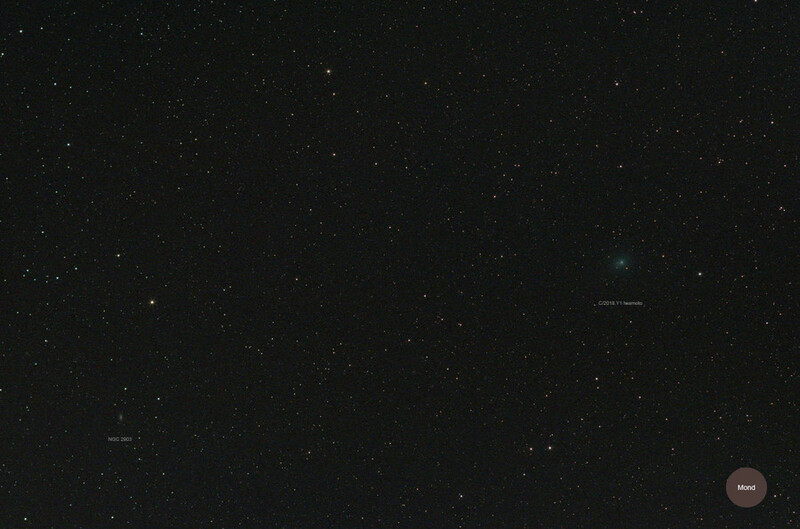 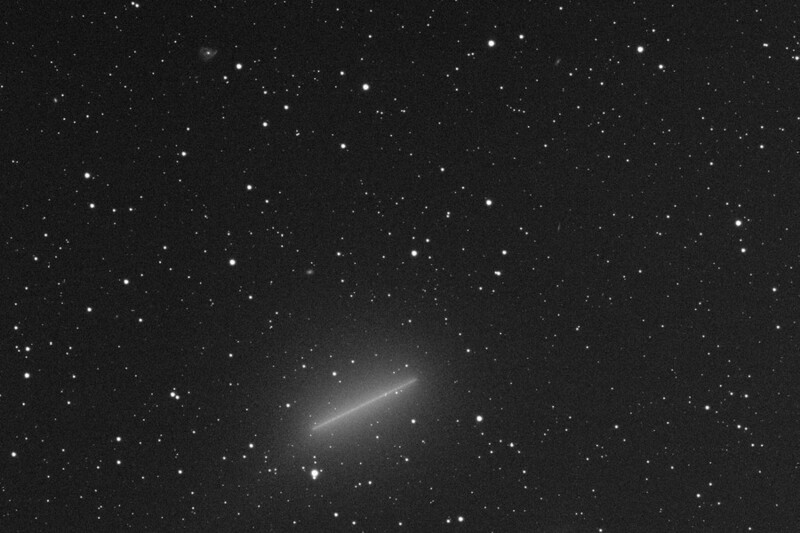 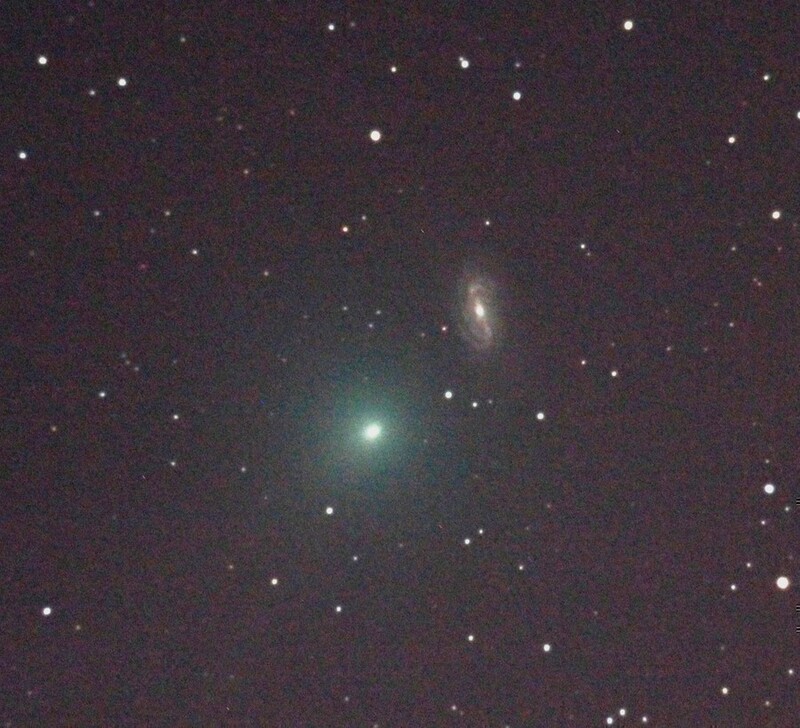 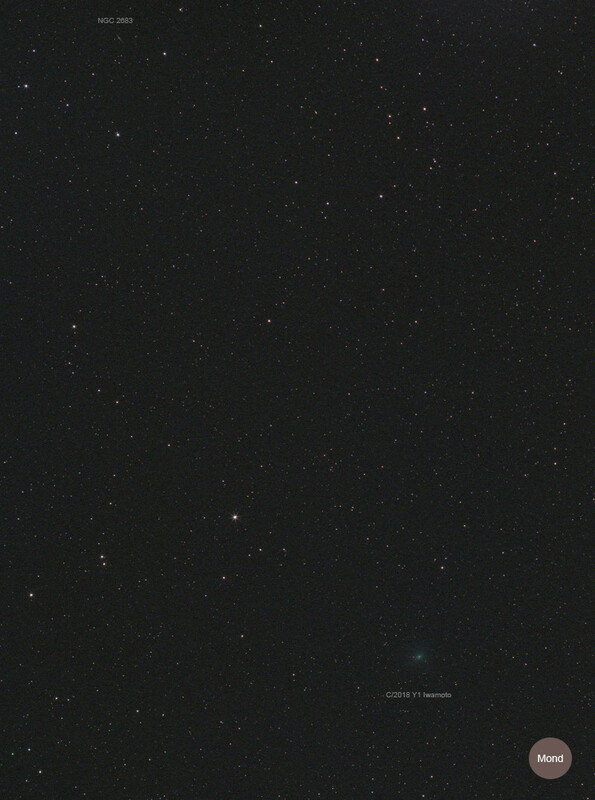 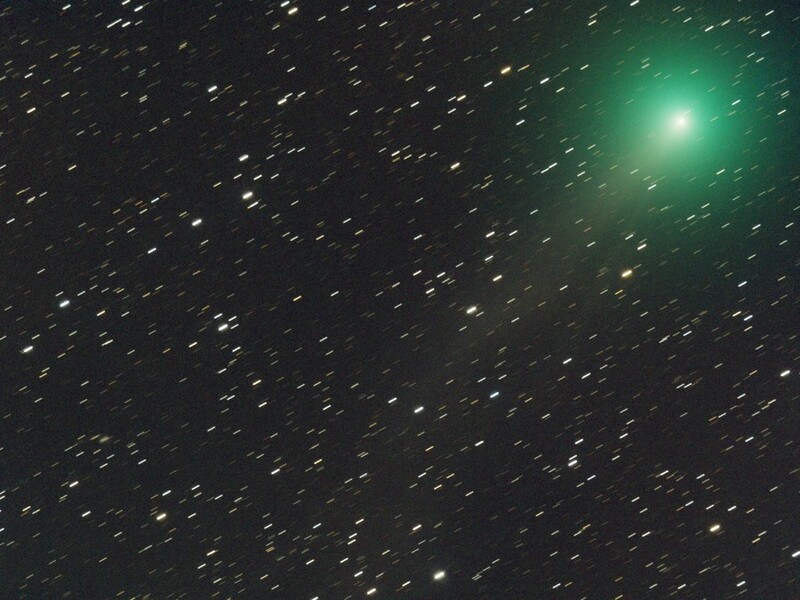 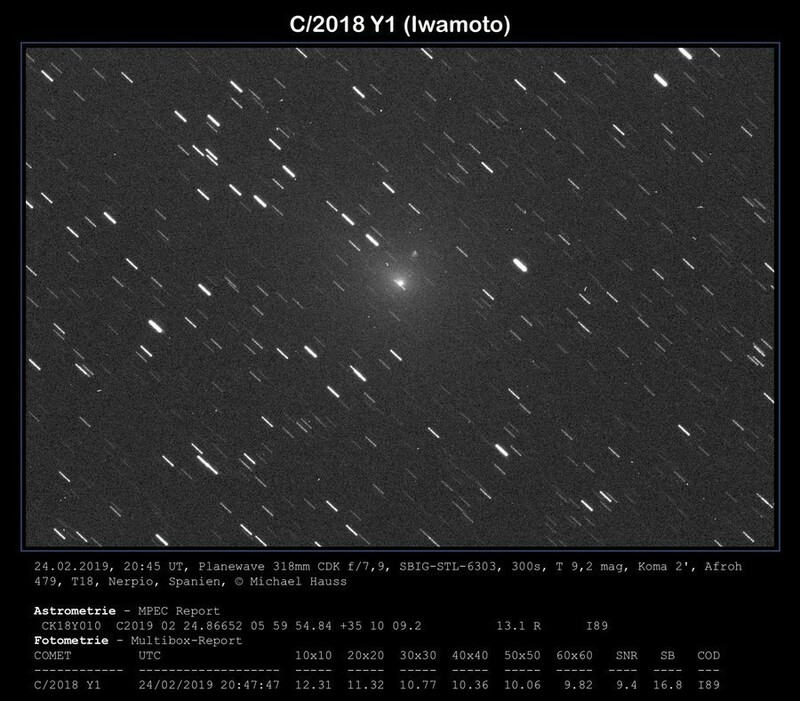 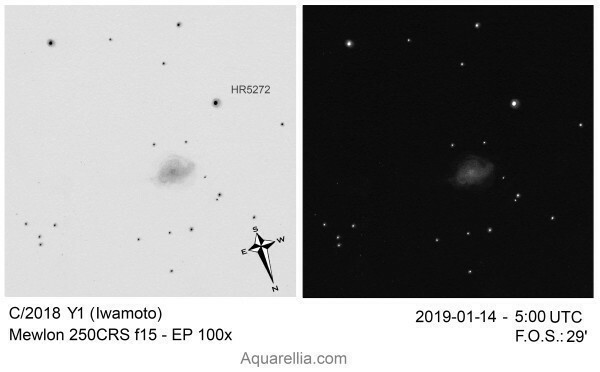 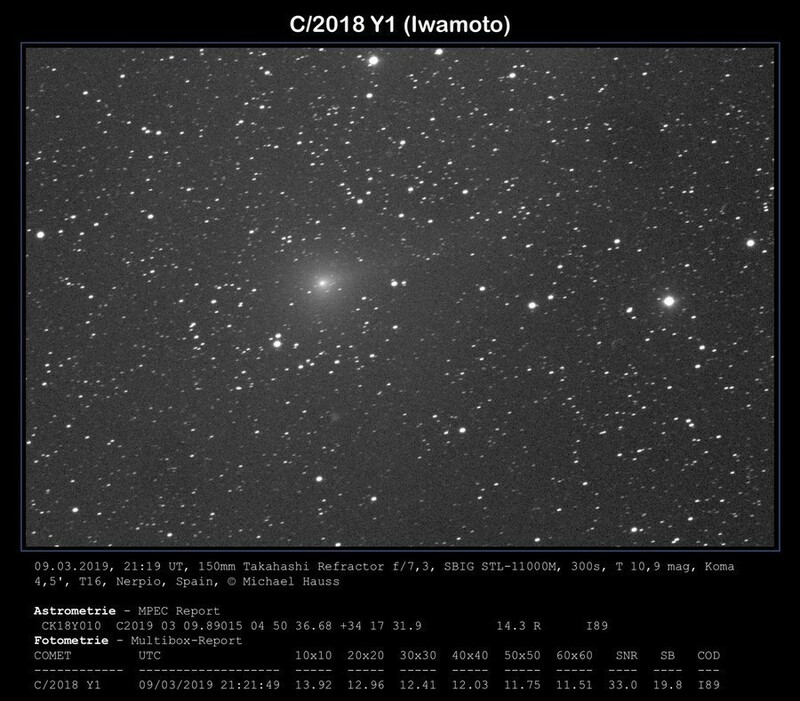 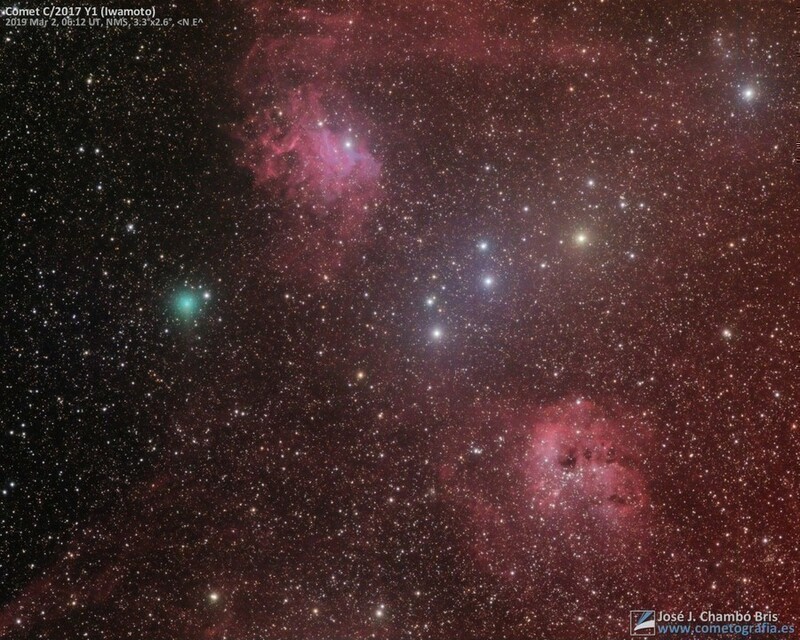 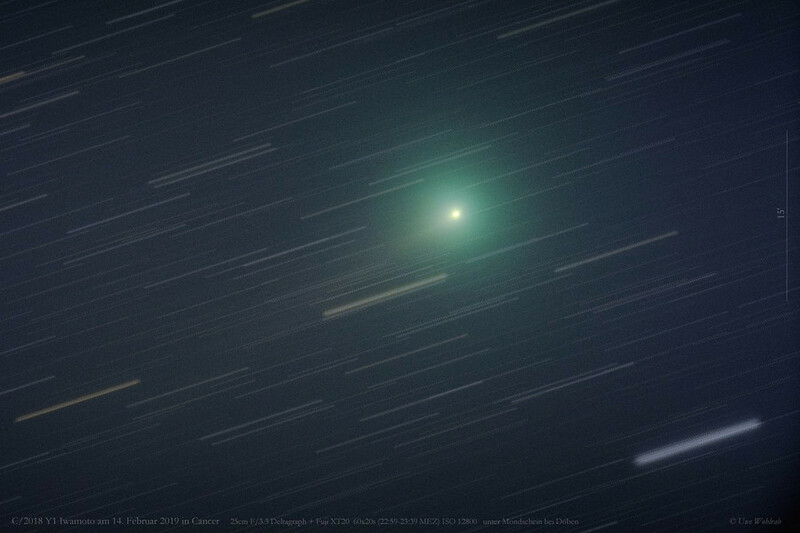 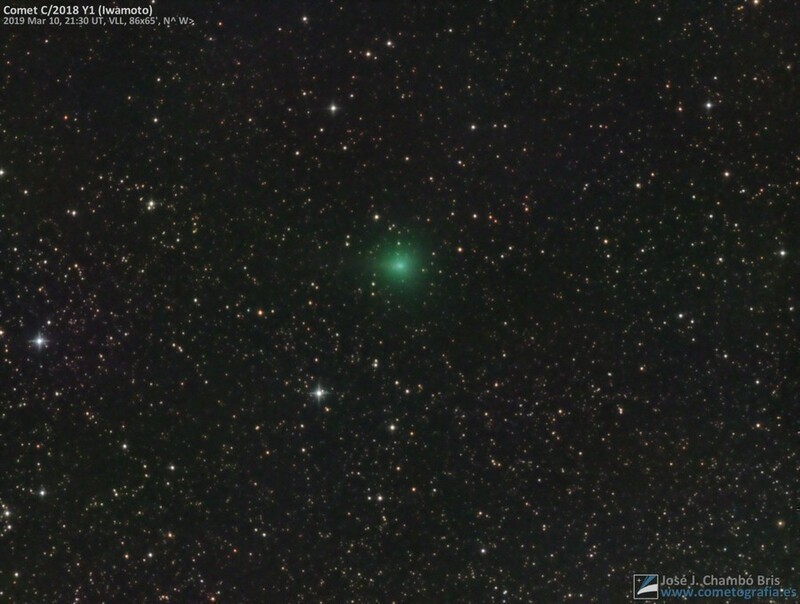 Takahashi FSQ-ED and CCD: SBIG STL-11000M this is LRGB image and 5 minutes total exposure time. 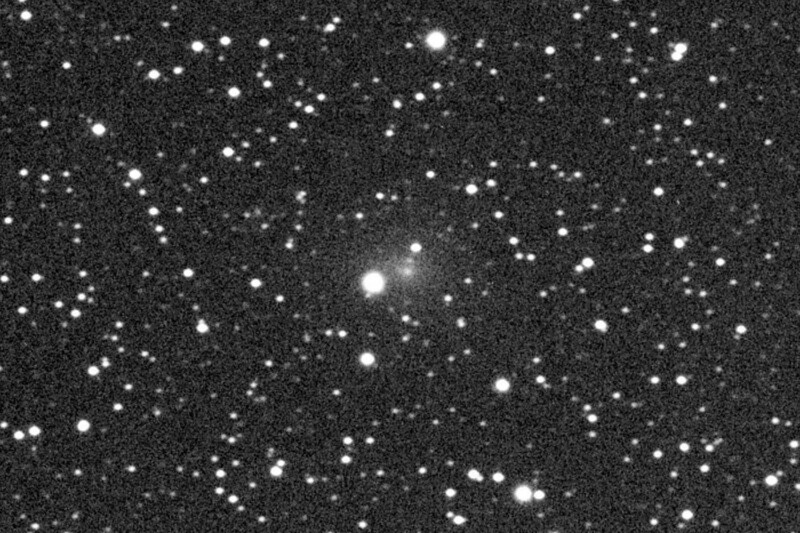 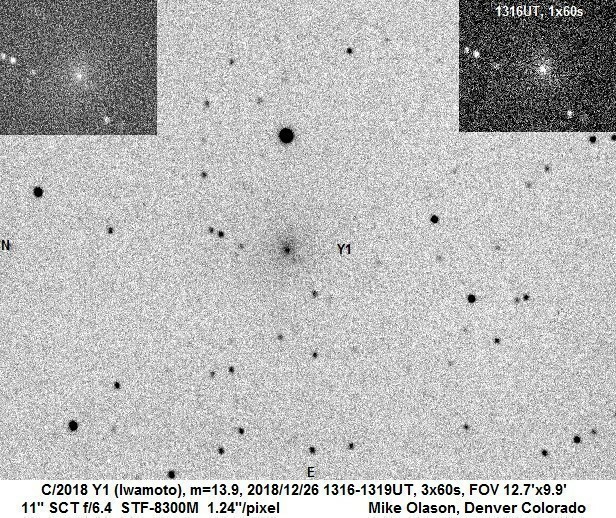 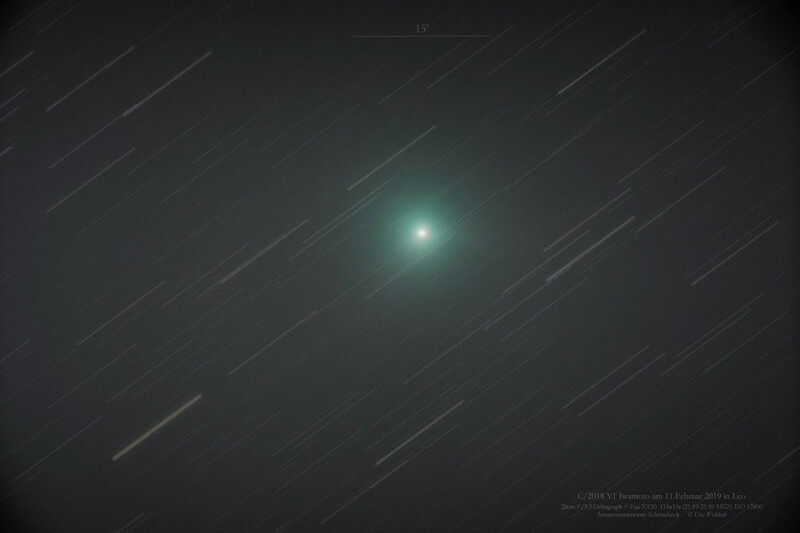 FOV: 155.8 x 233.7 arc-mins. 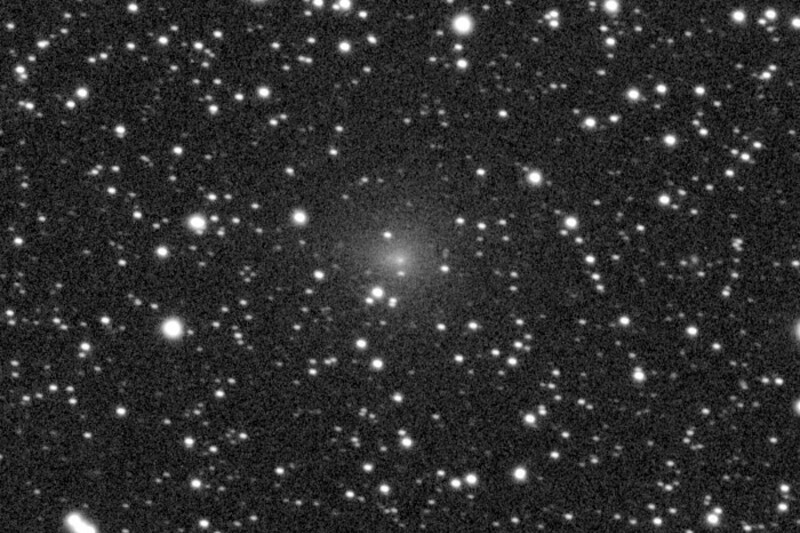 16:52 UT, Planewave 20" CDK f/4.4, FLI-PL09000, 9 min. 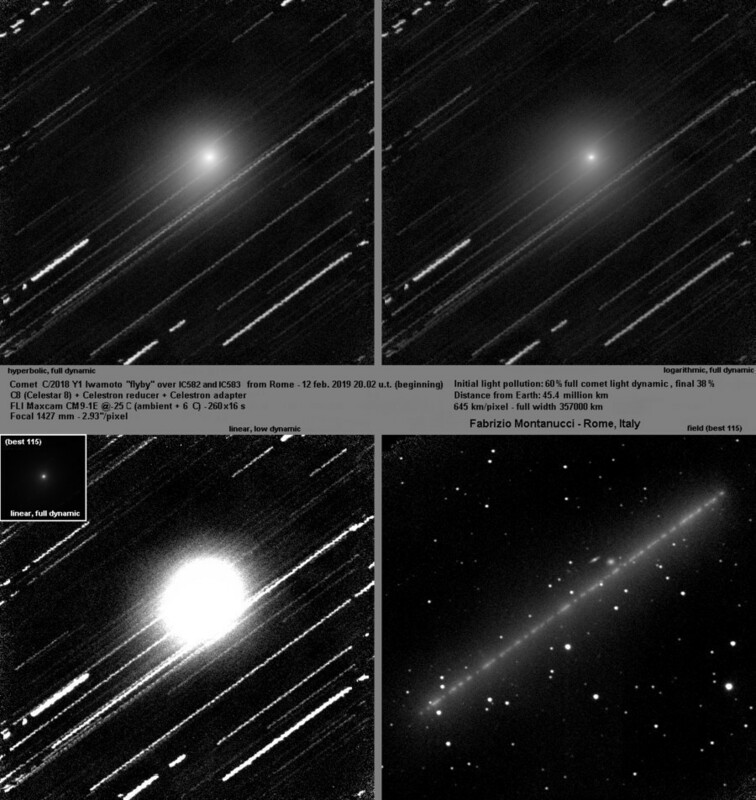 total exposure.